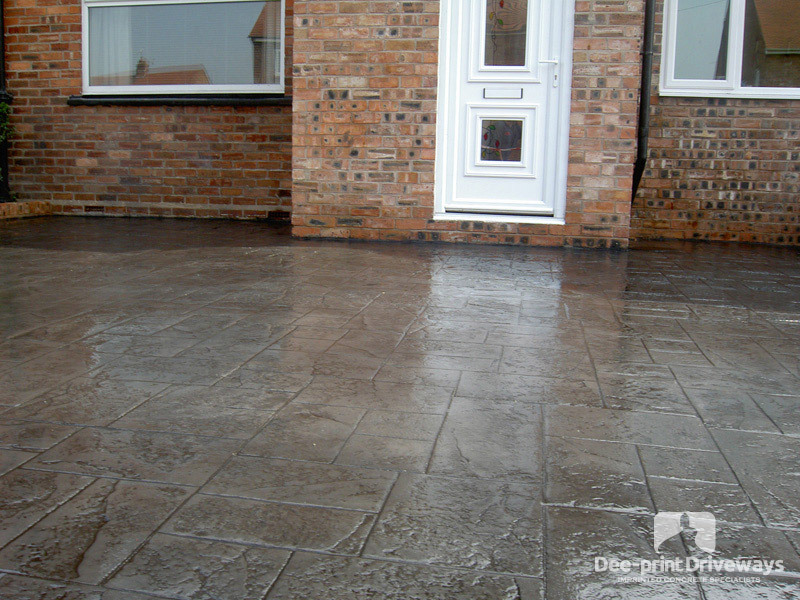 I already have imprinted concrete installed by another company, will you re-seal it for me? 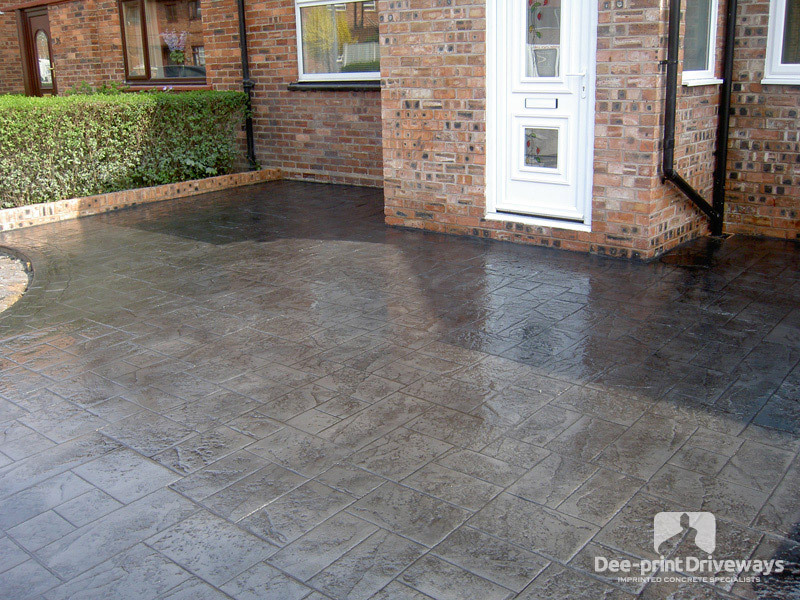 Yes we would be happy to give you an estimate for re-sealing. 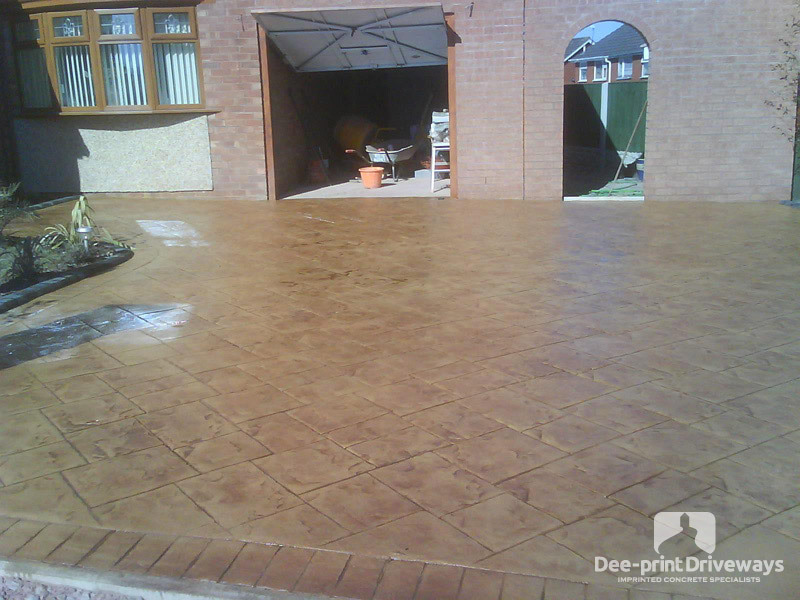 Our prices are very reasonable for this service. 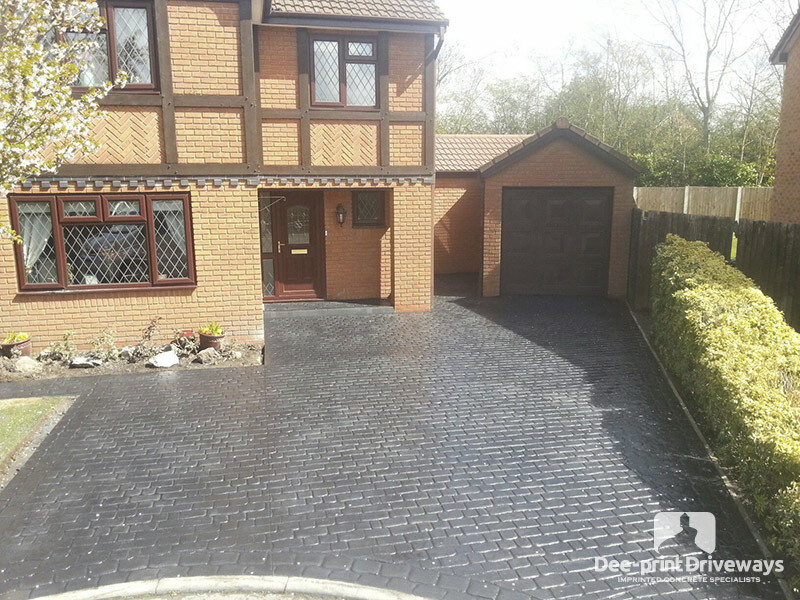 Is the price open to discussion? 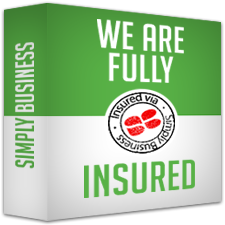 We don't believe in giving an inflated price in the expectation of entering into a negotiation. 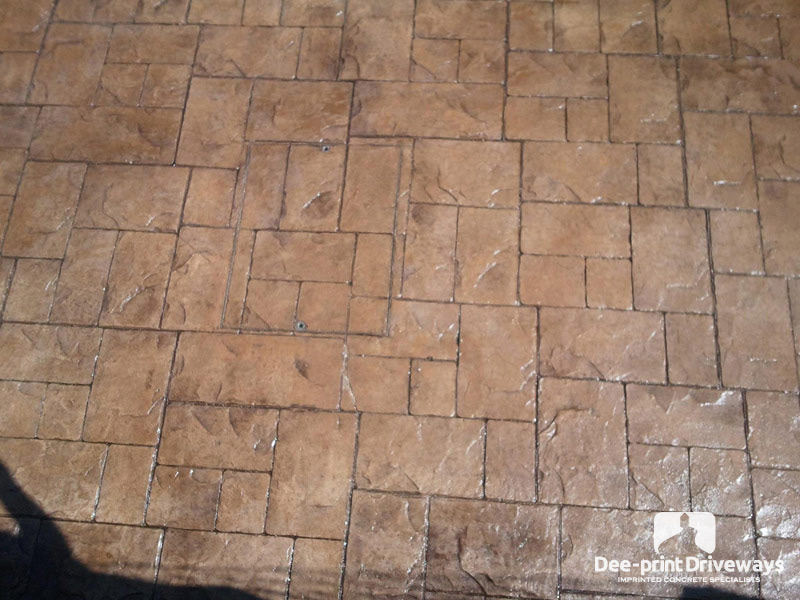 We know our pricing is extremely competitive. 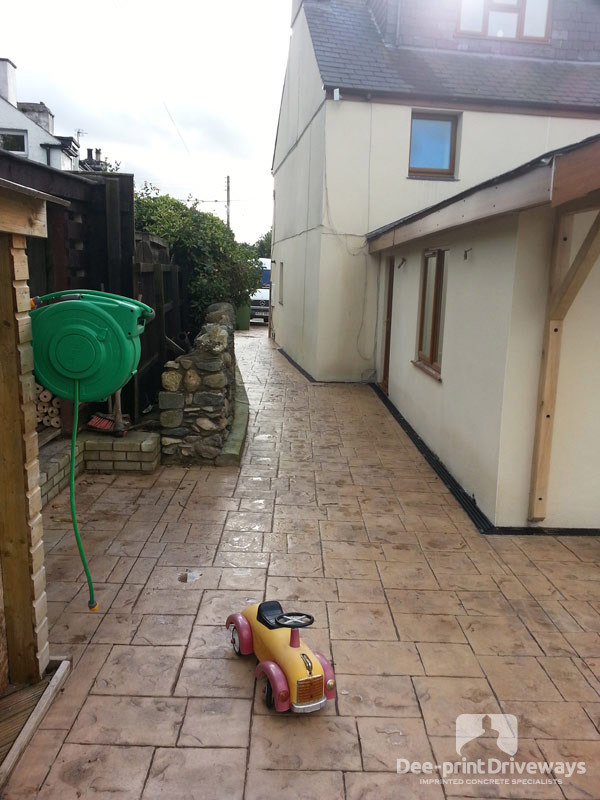 Why not contact us for a no obligation quotation. 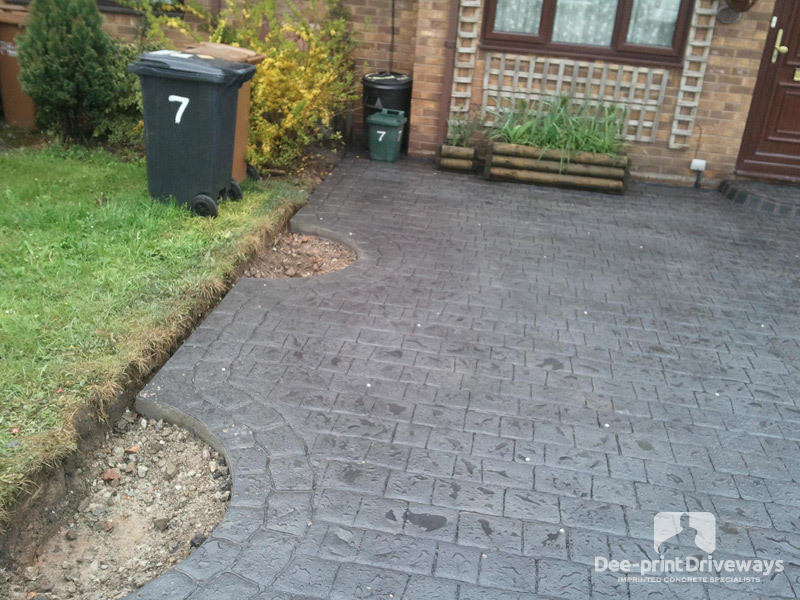 You may be pleasantly surprised. 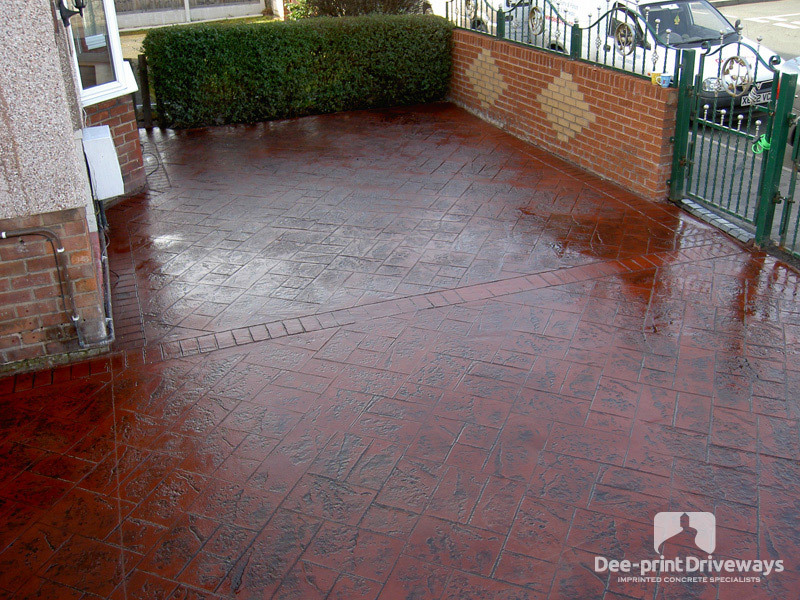 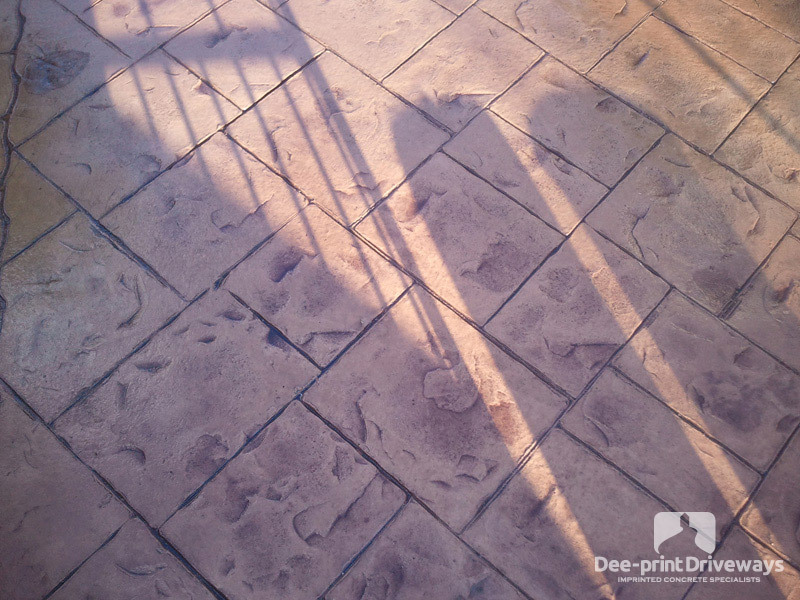 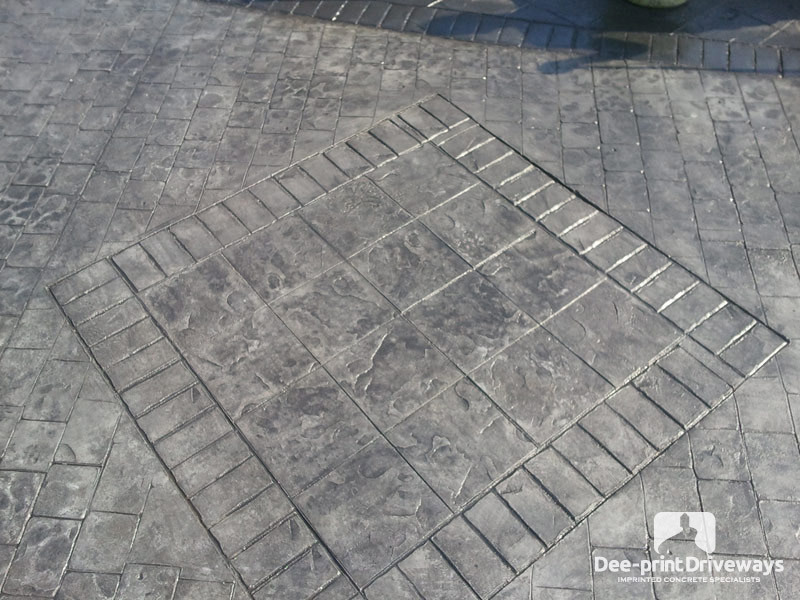 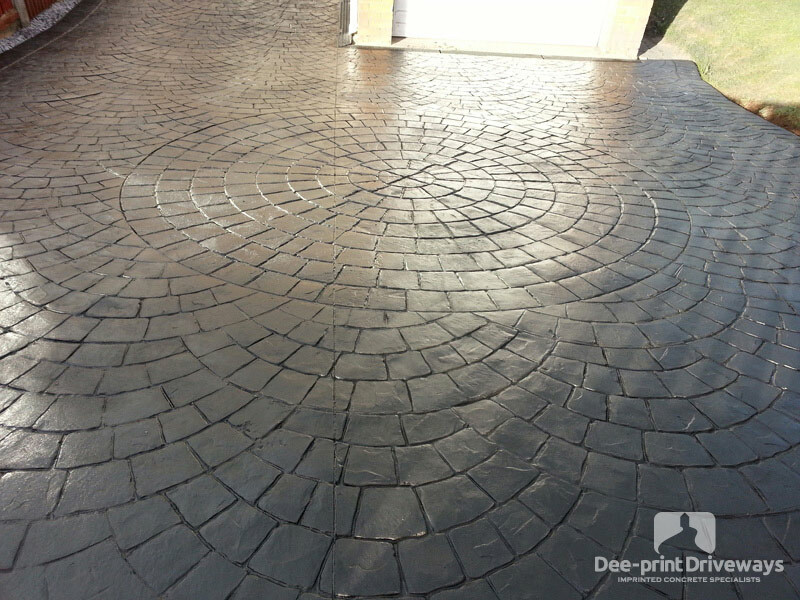 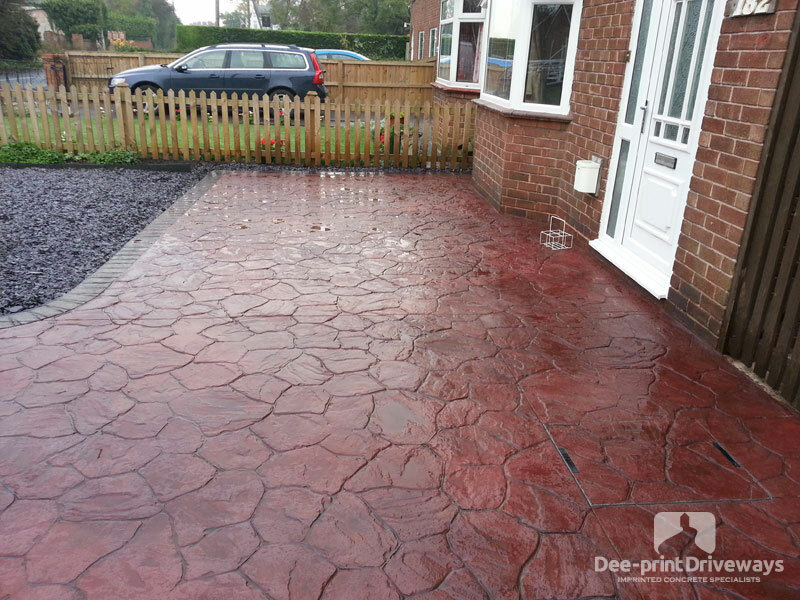 Please take the time to browse the numerous photos of pattern imprinted concrete driveways and patio installations in our gallery. 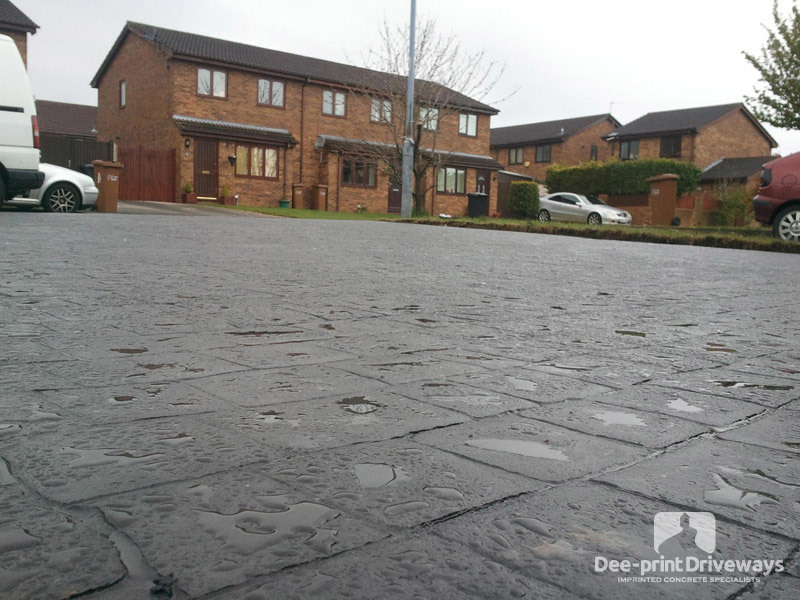 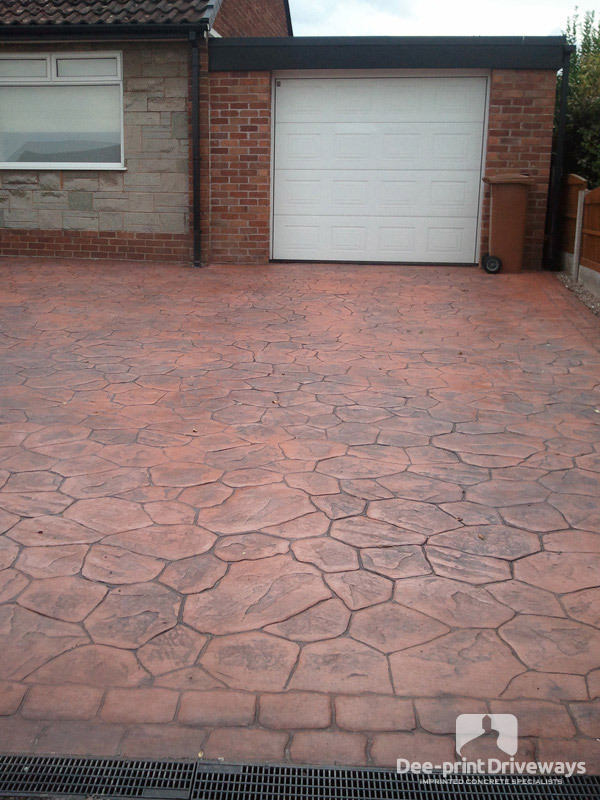 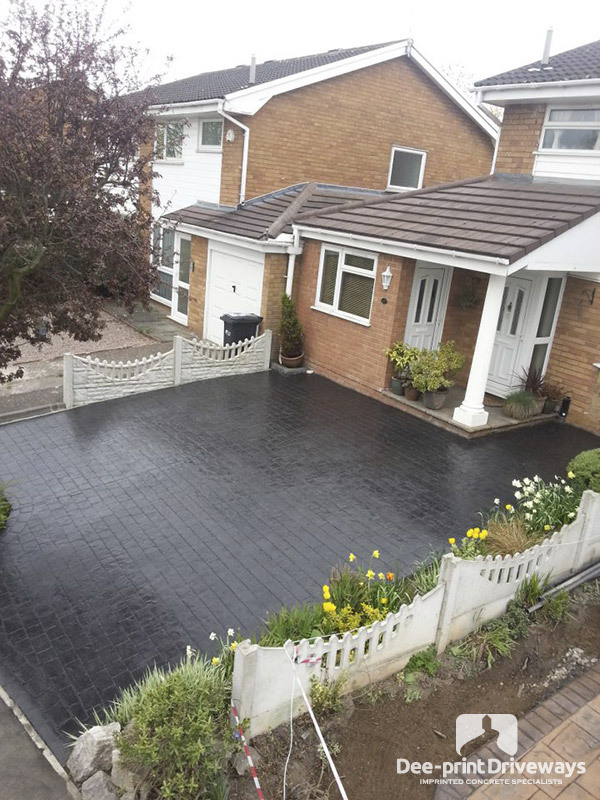 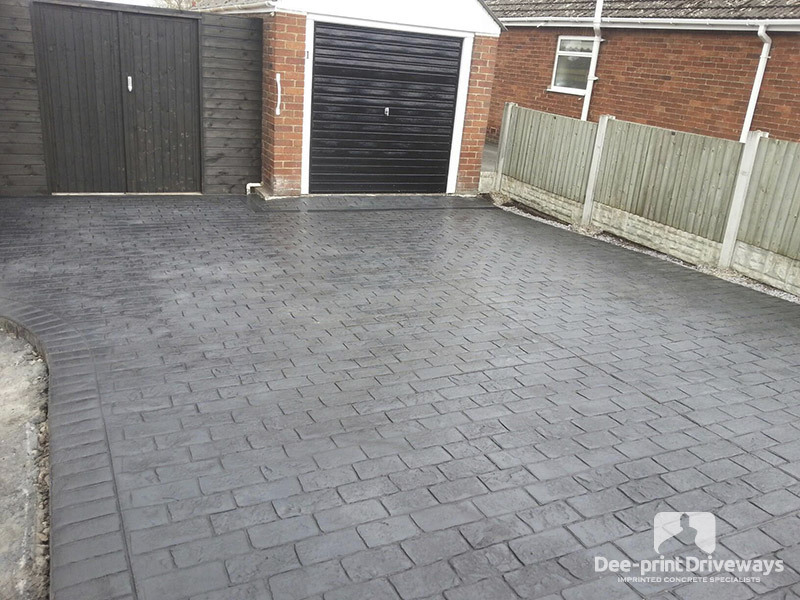 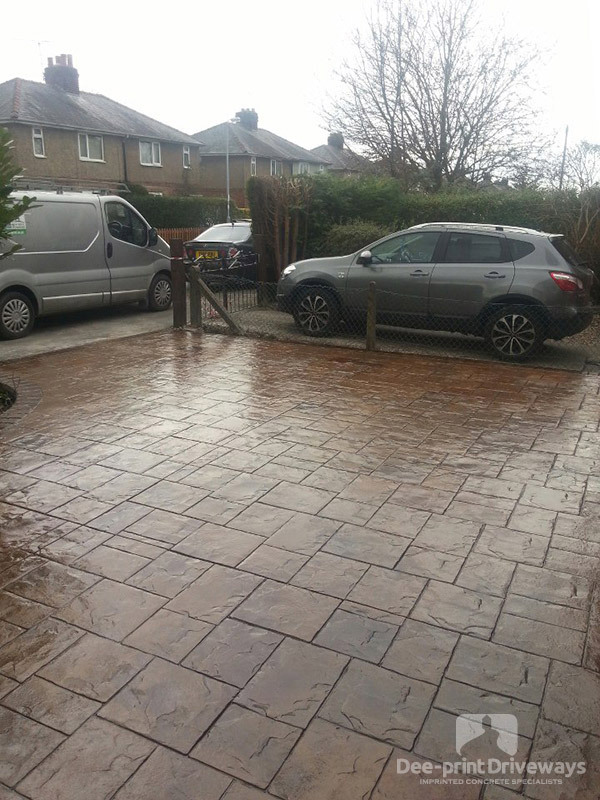 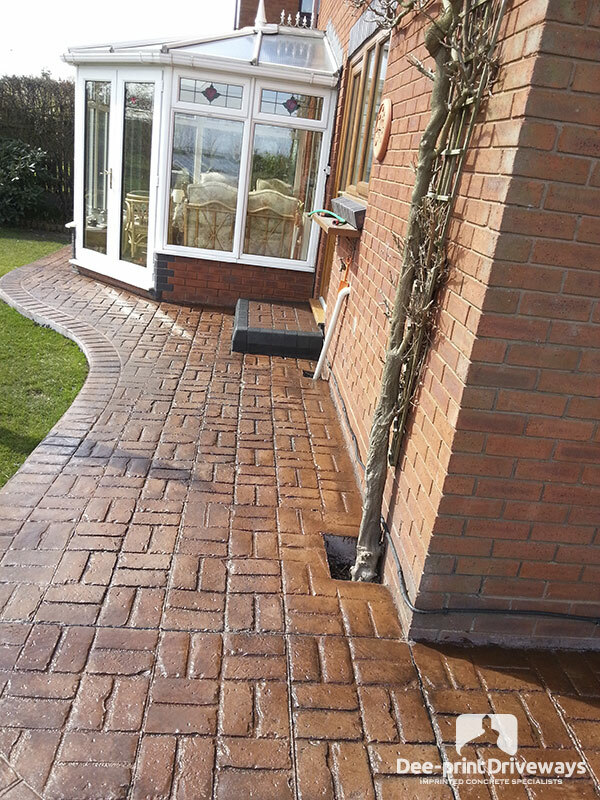 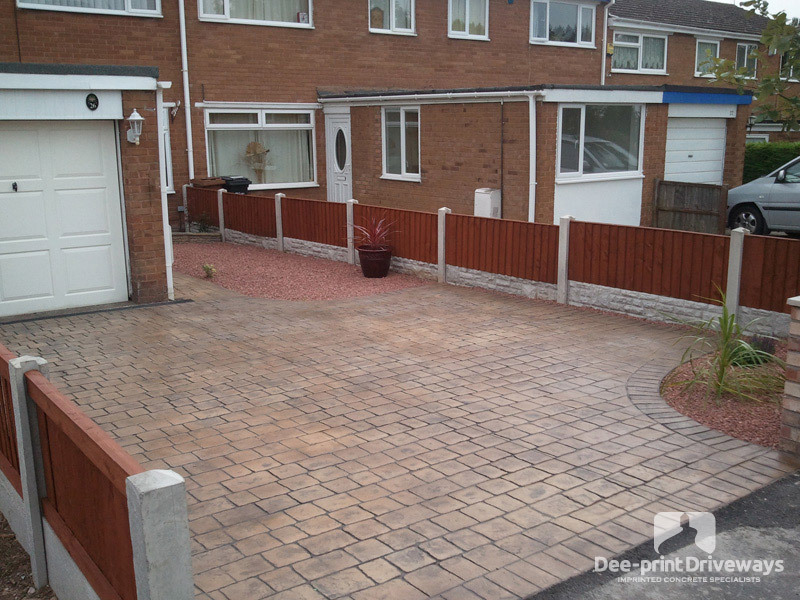 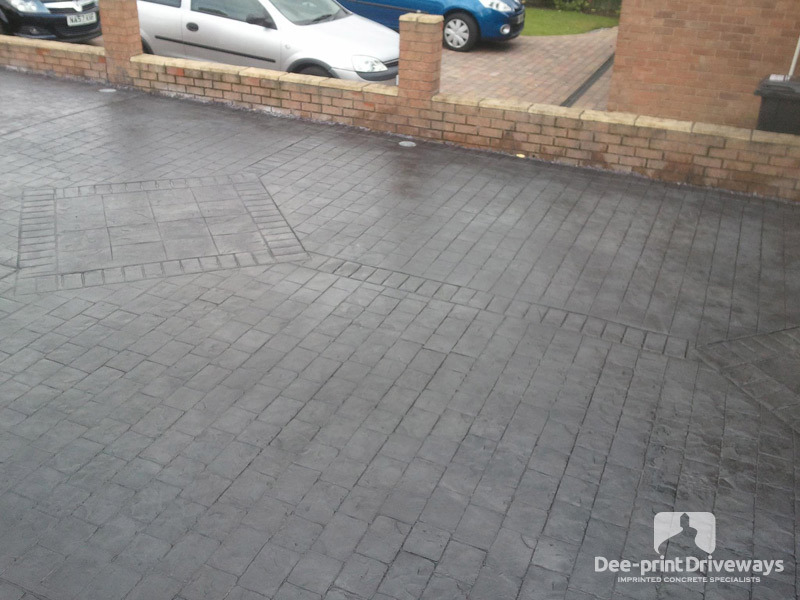 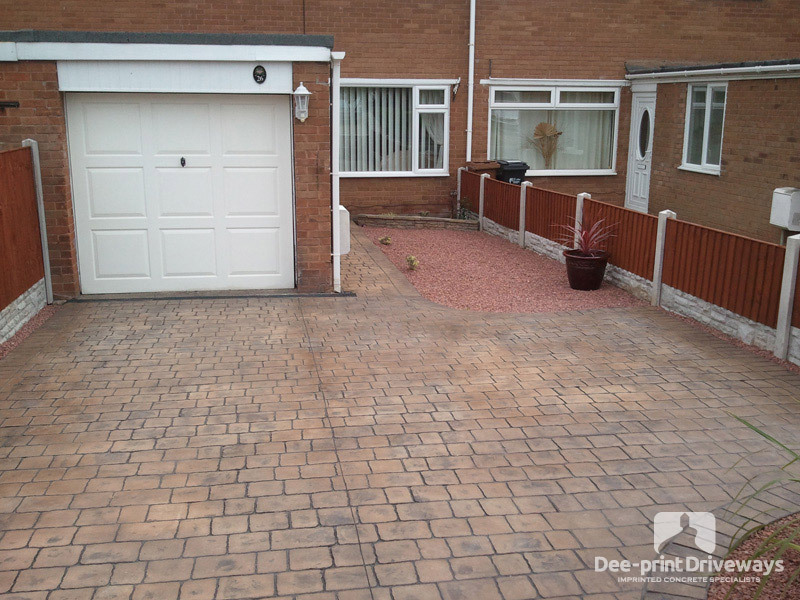 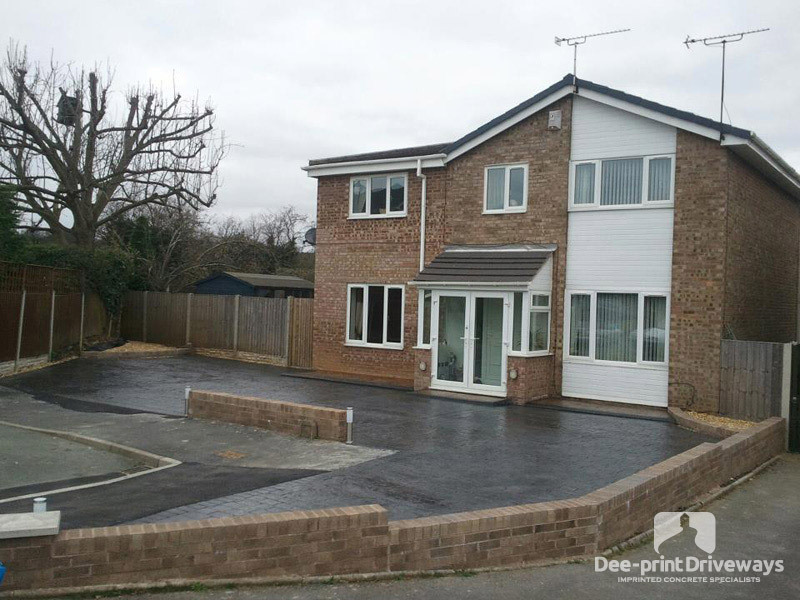 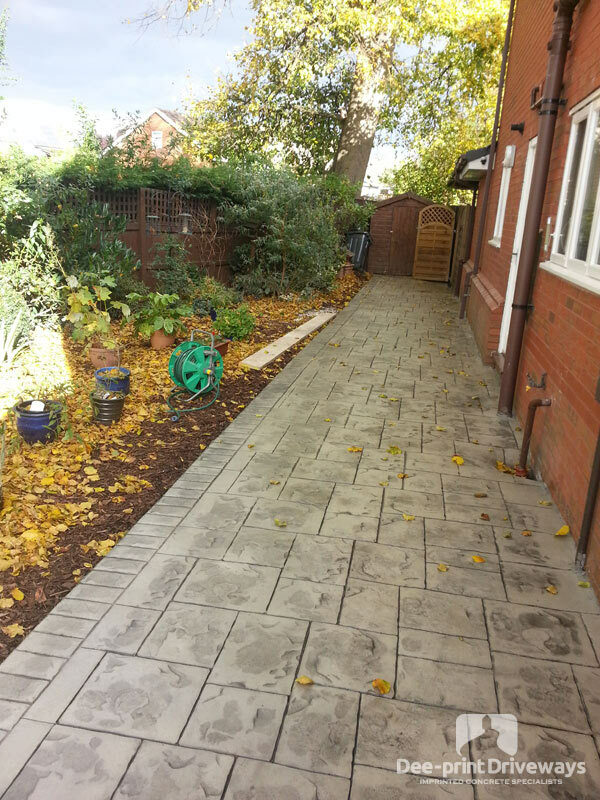 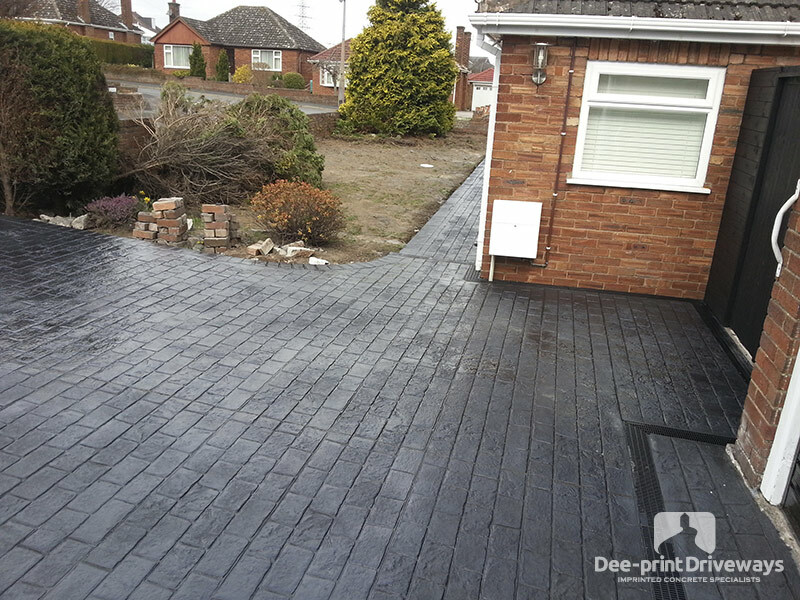 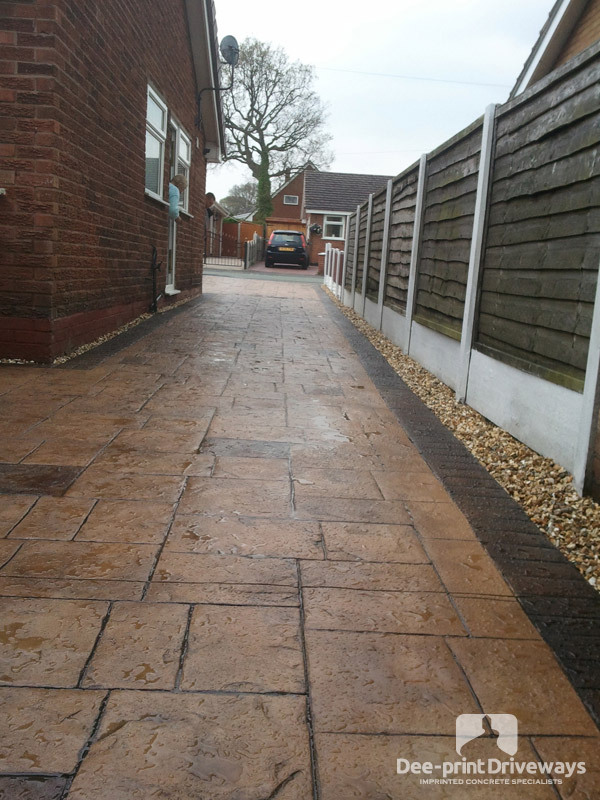 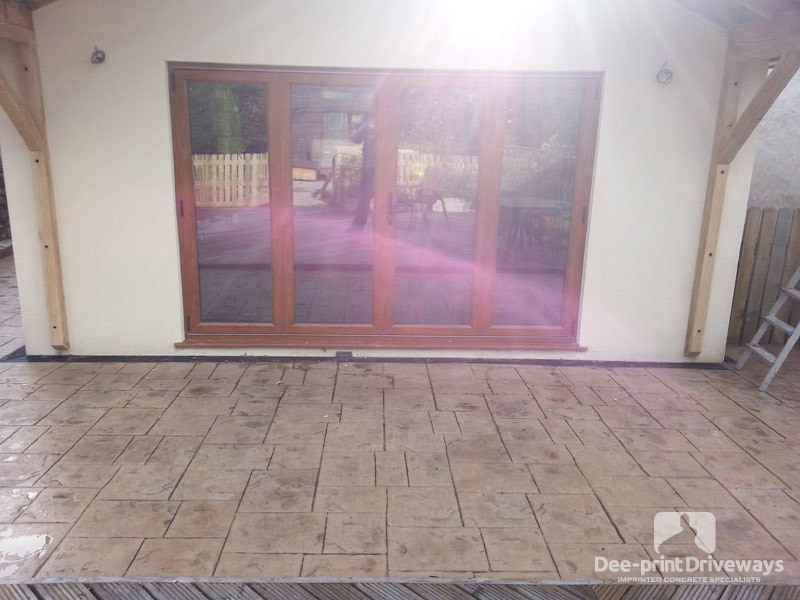 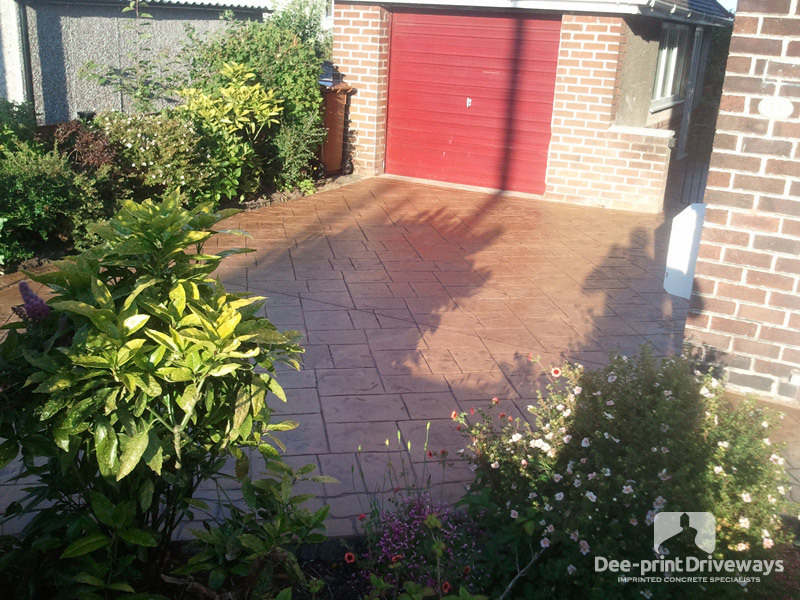 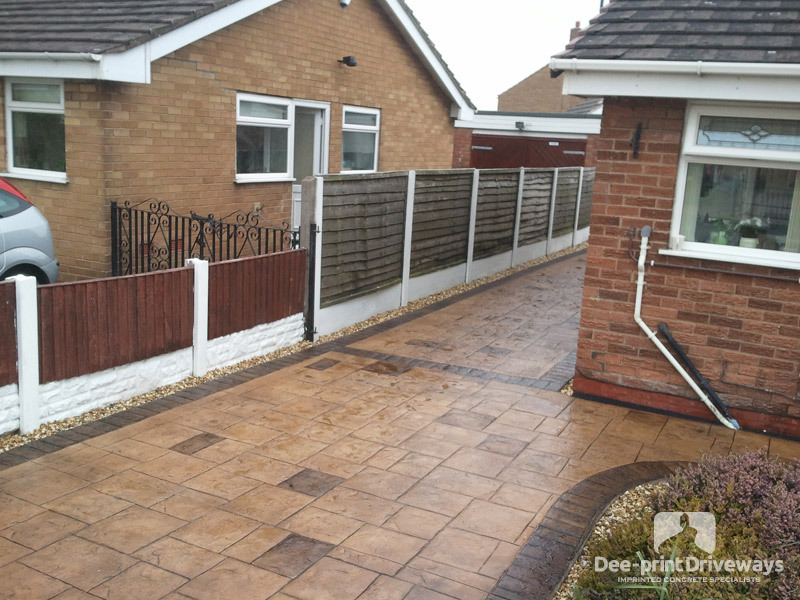 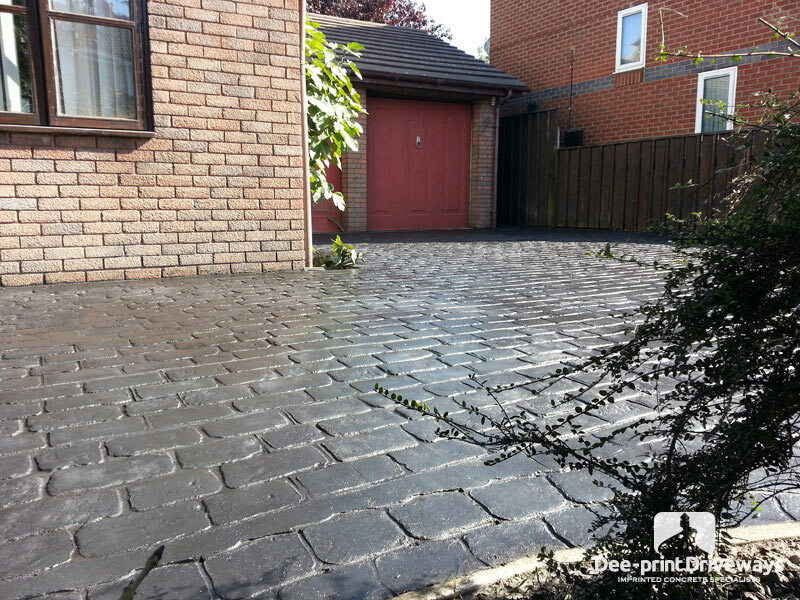 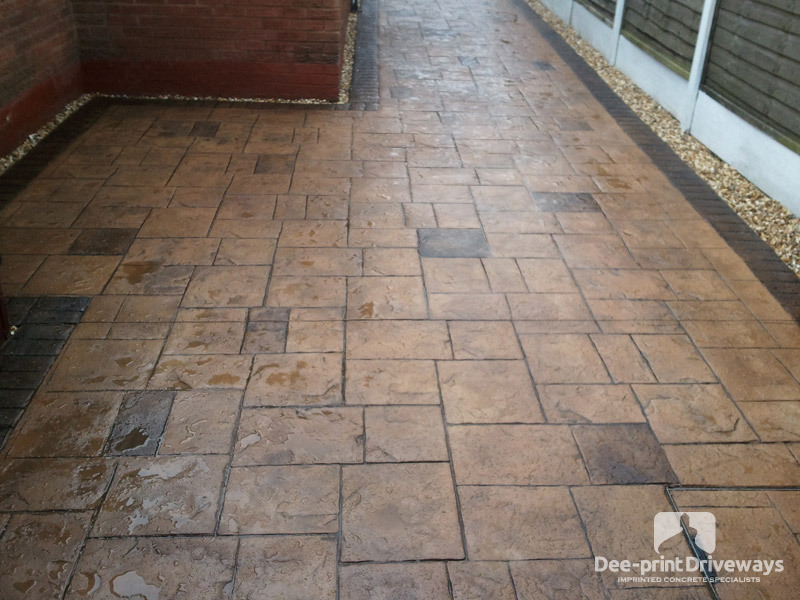 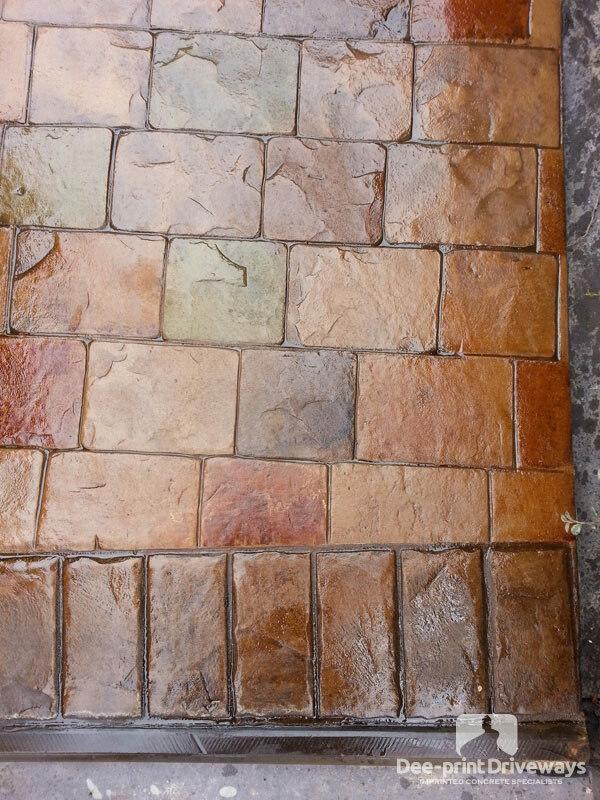 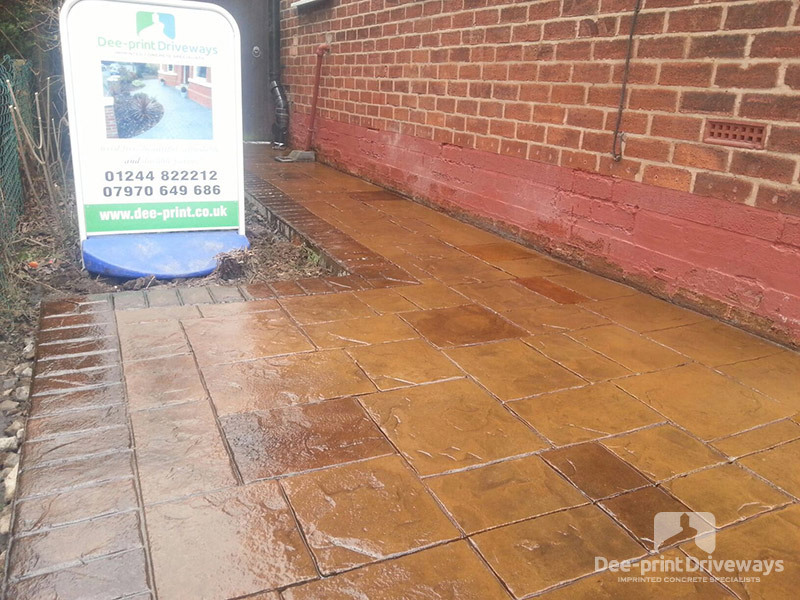 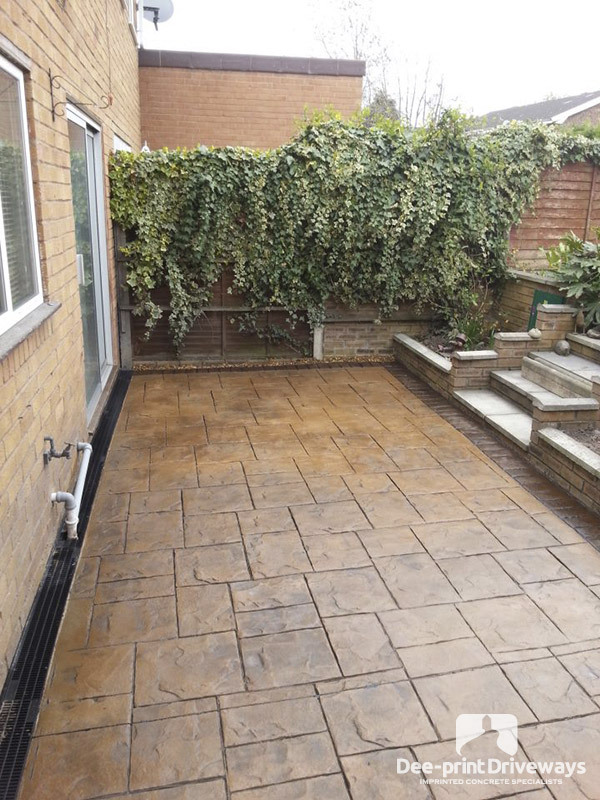 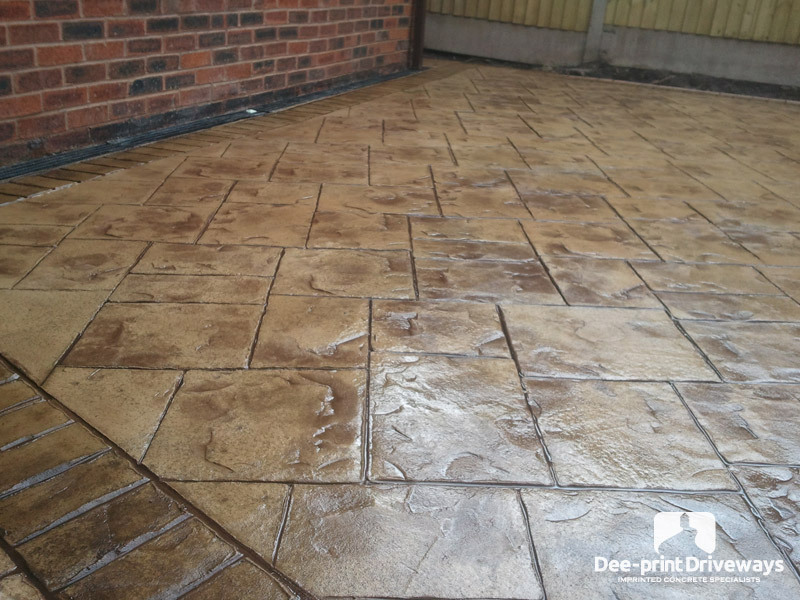 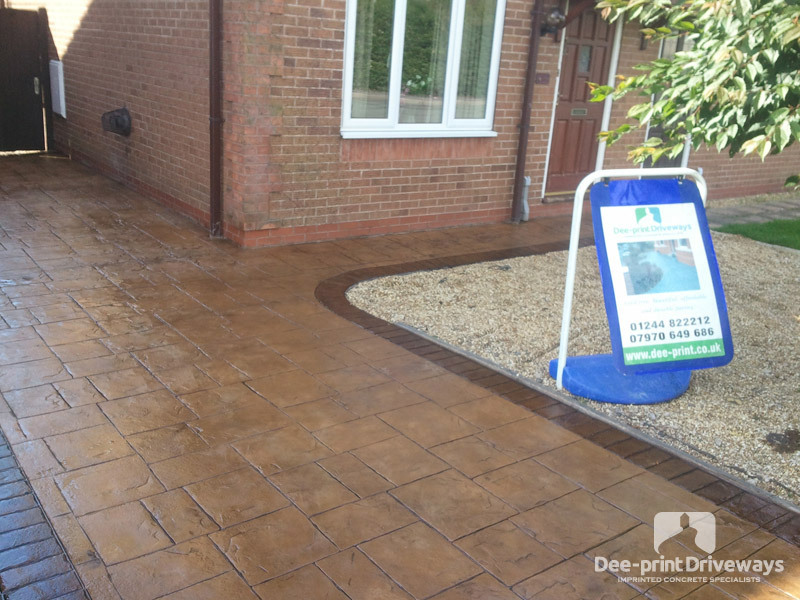 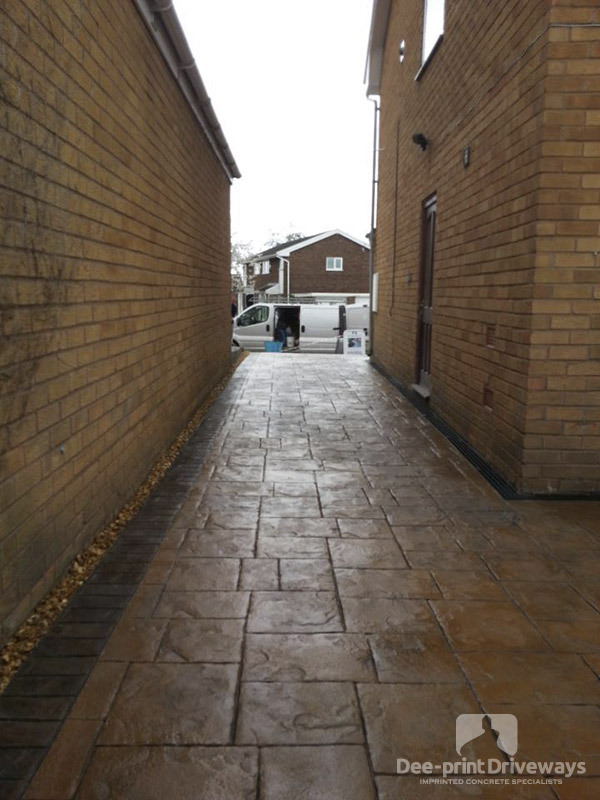 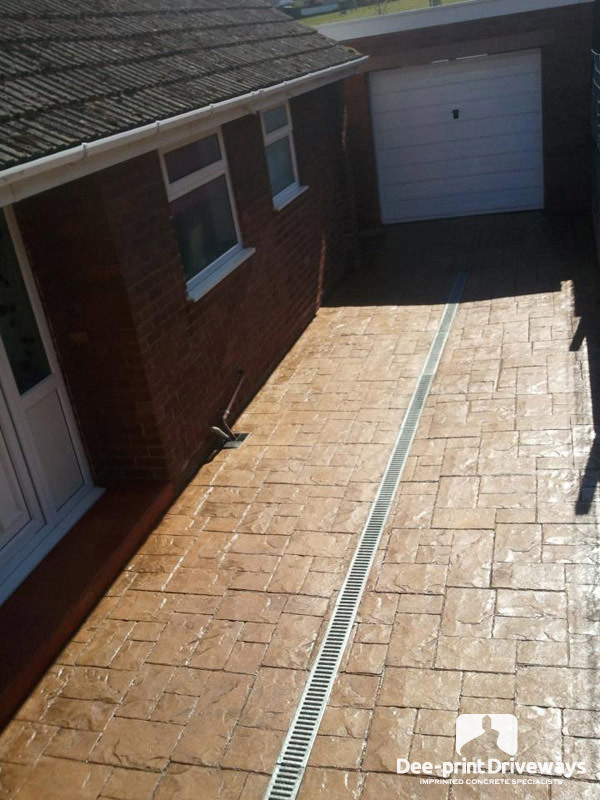 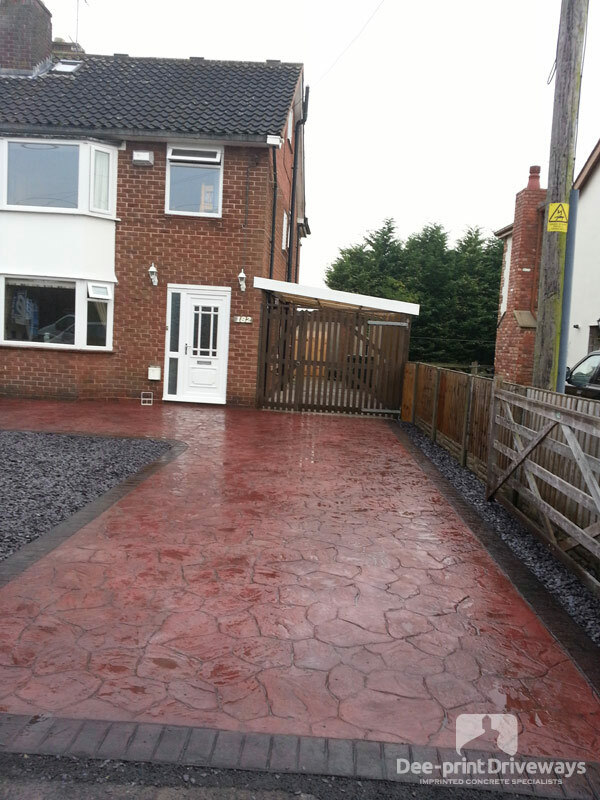 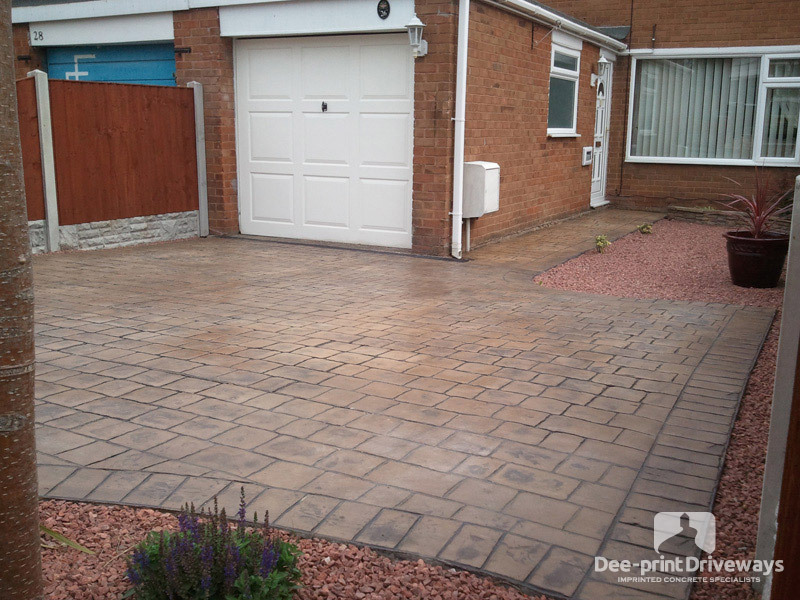 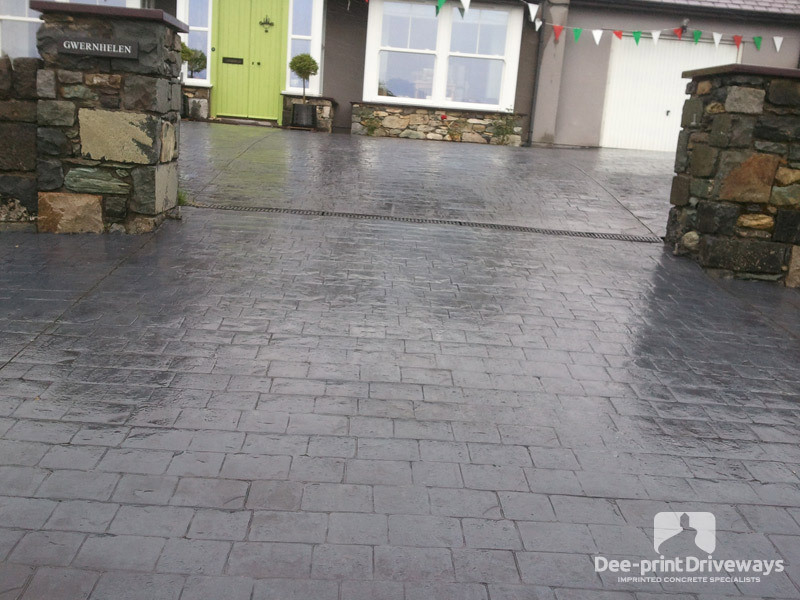 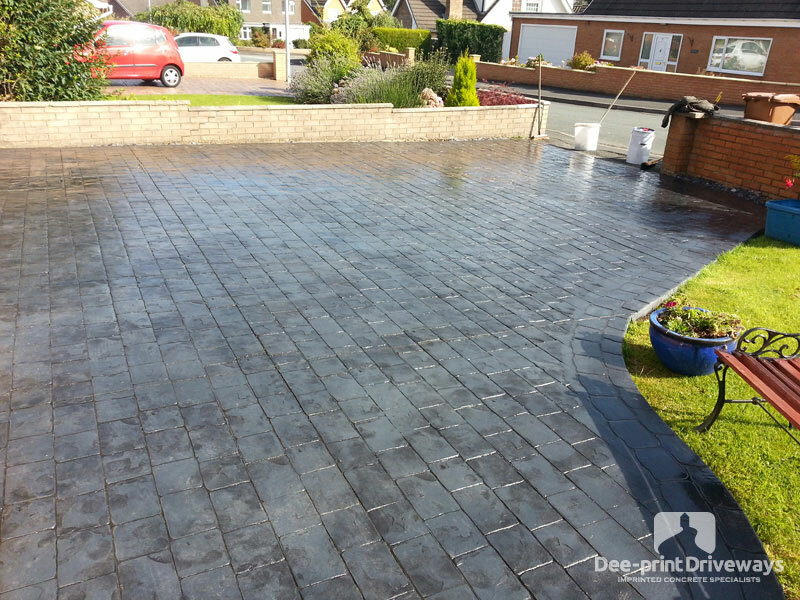 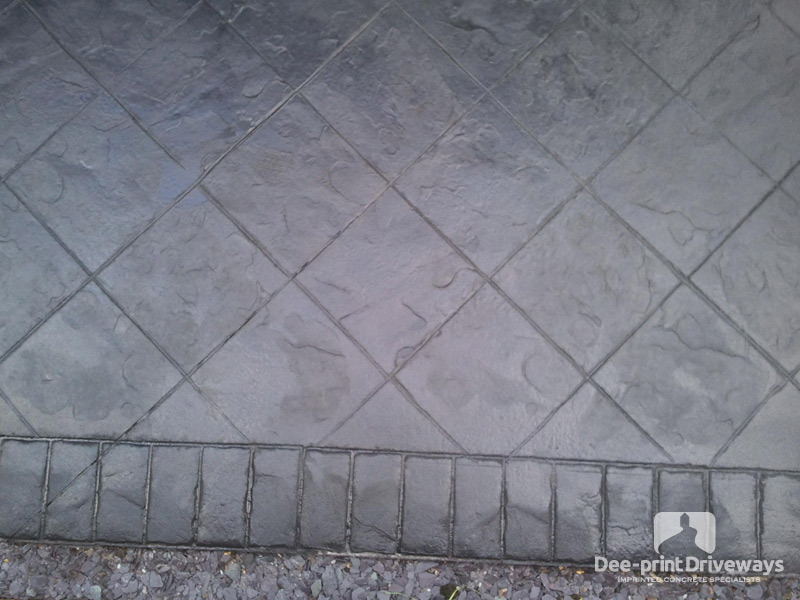 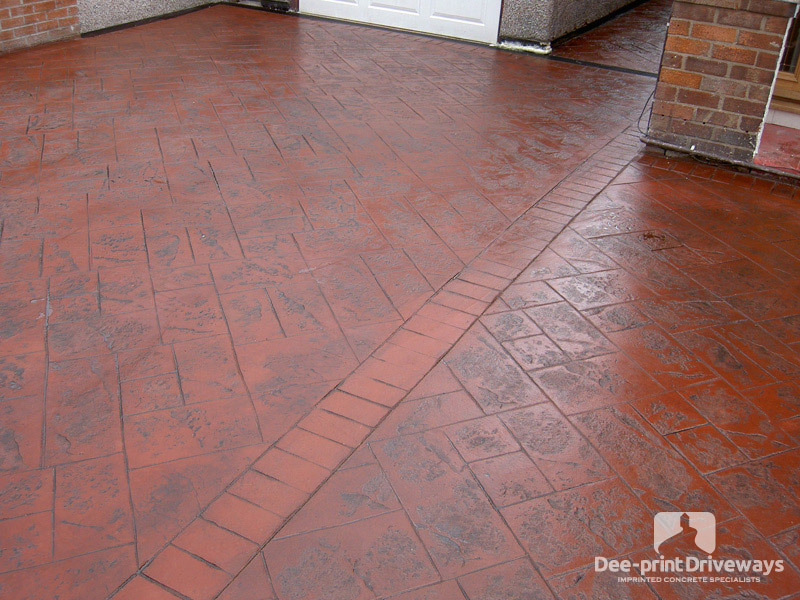 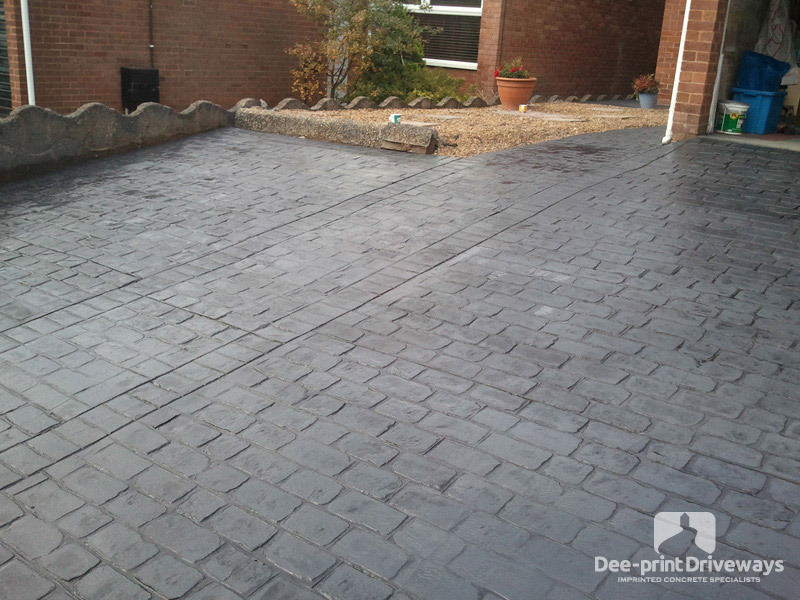 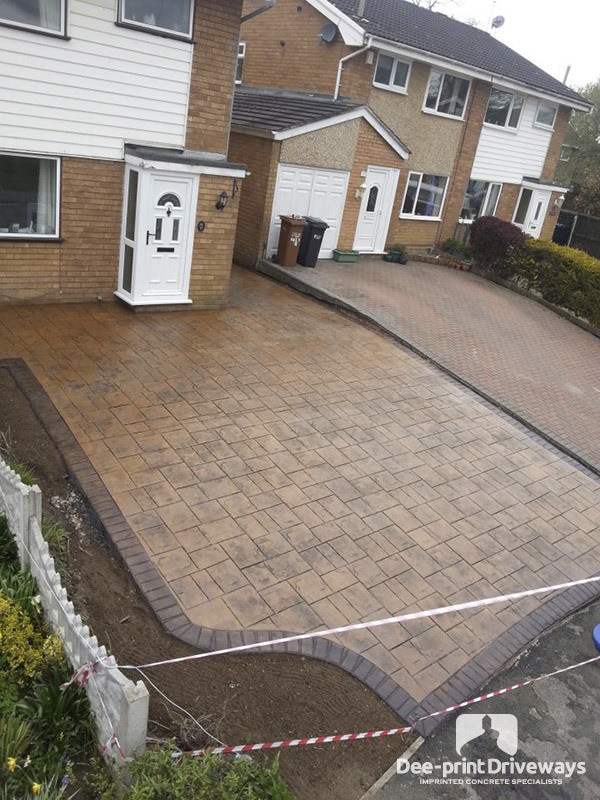 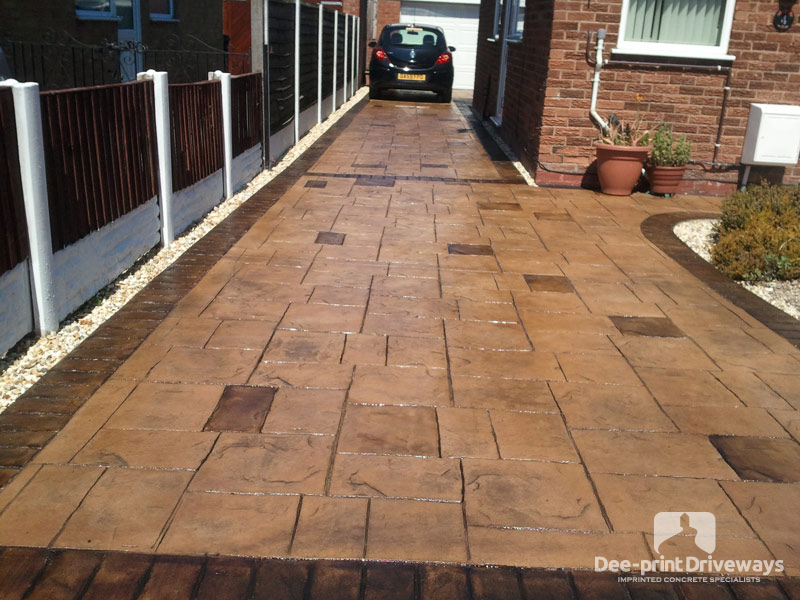 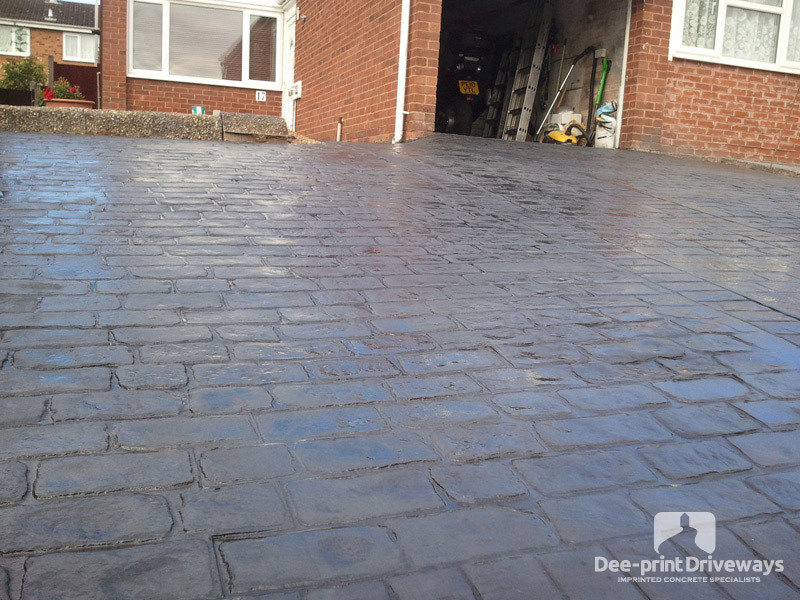 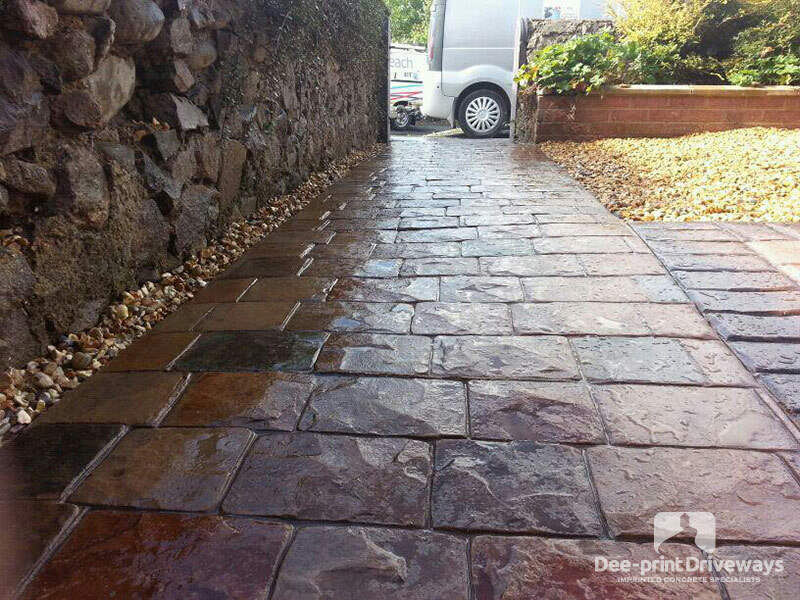 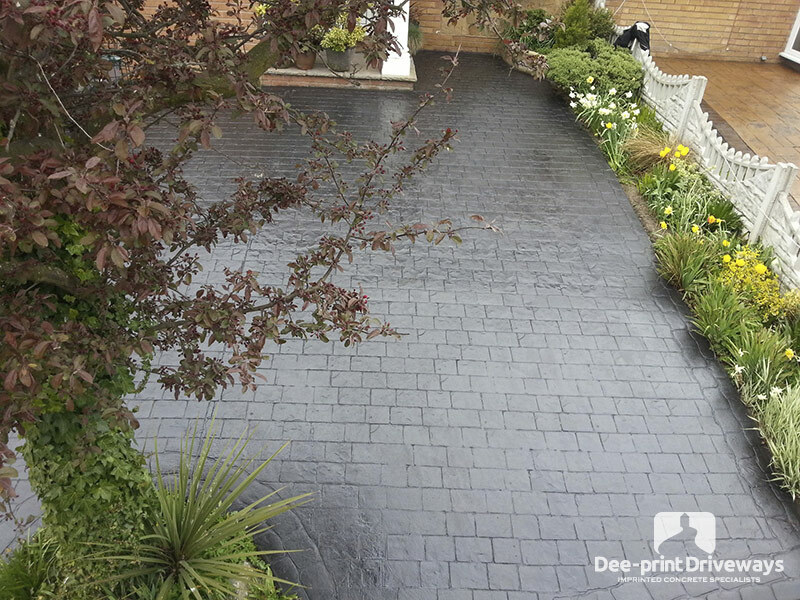 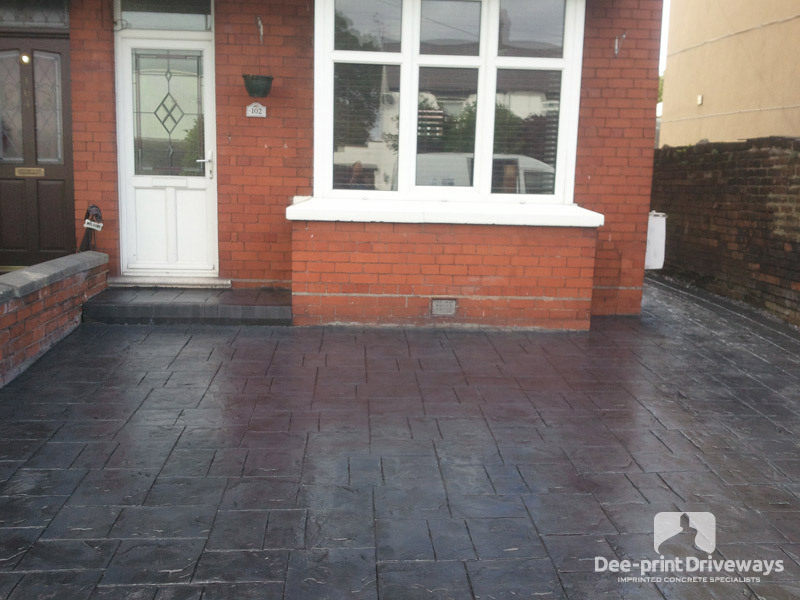 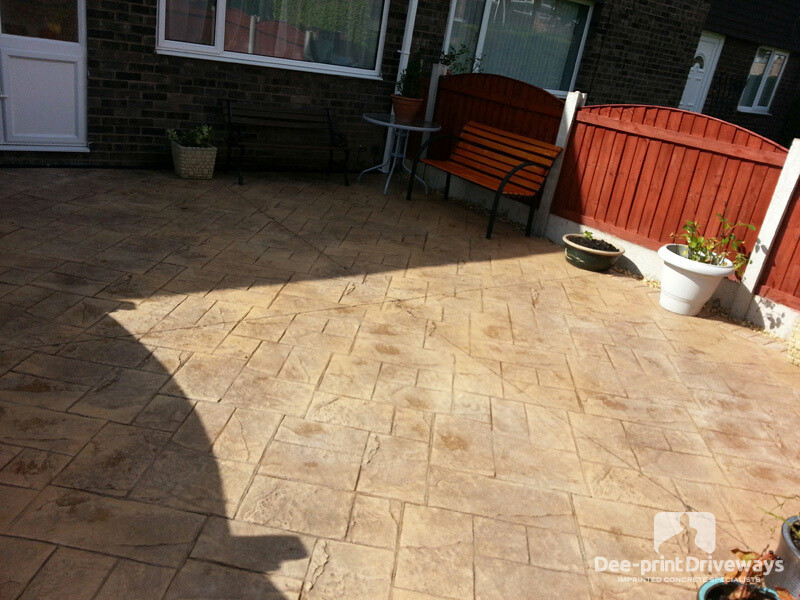 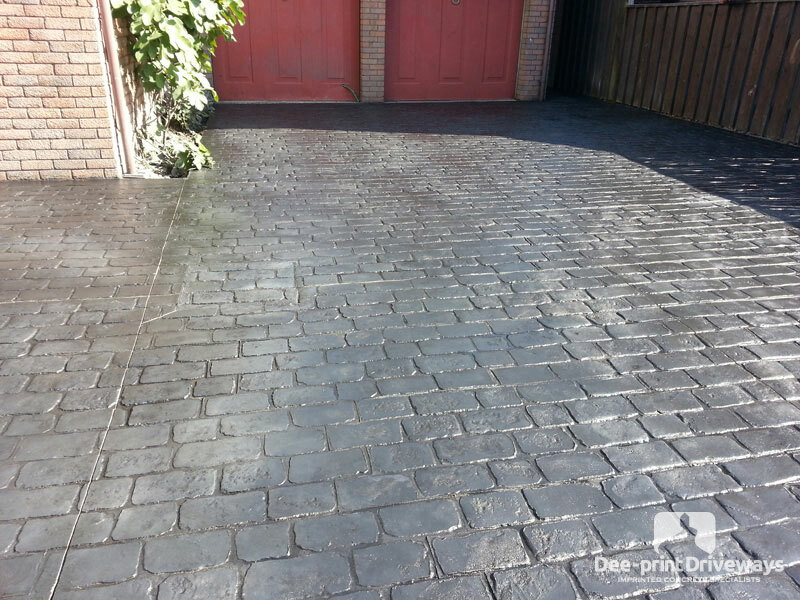 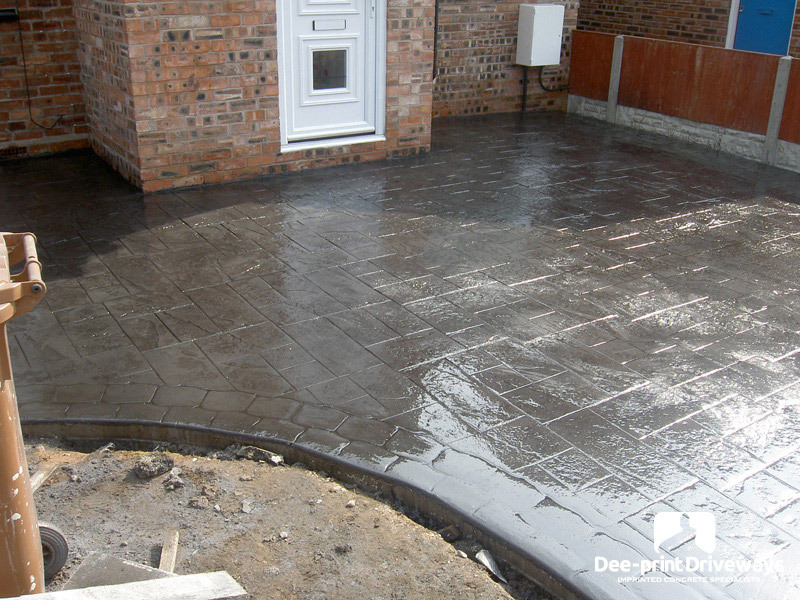 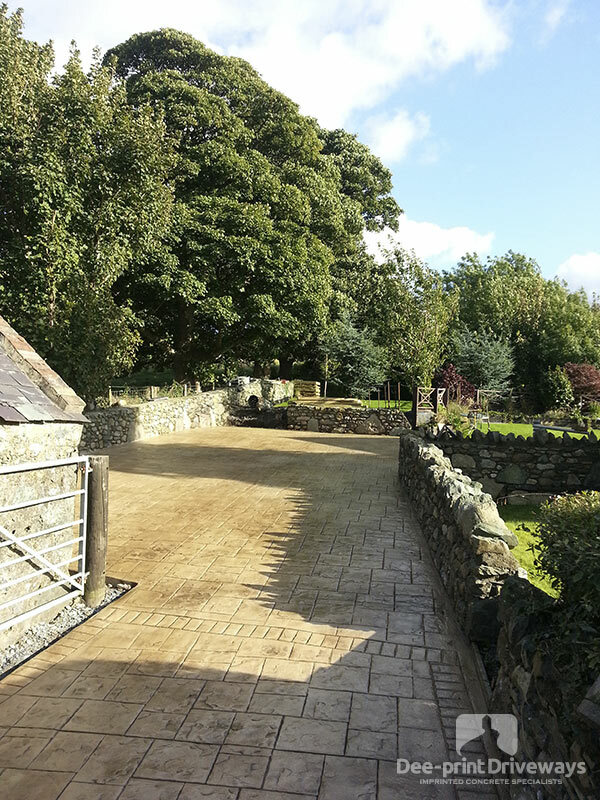 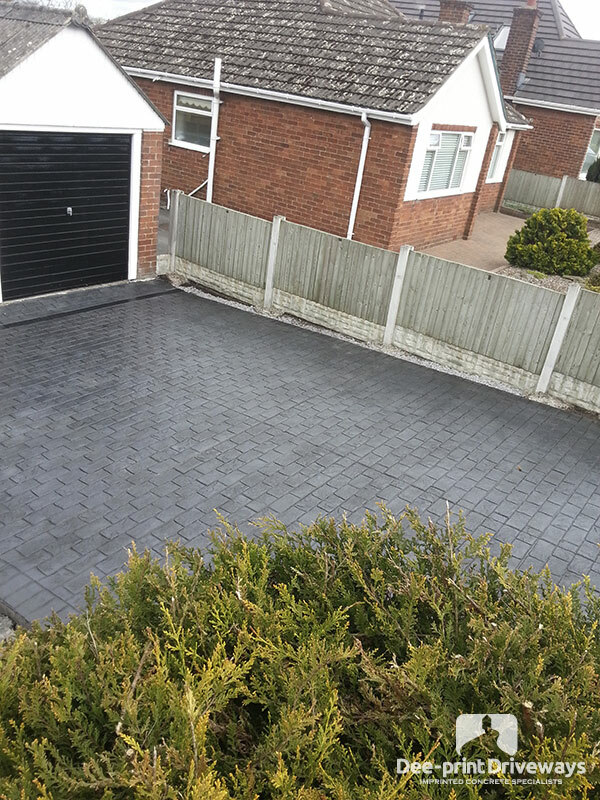 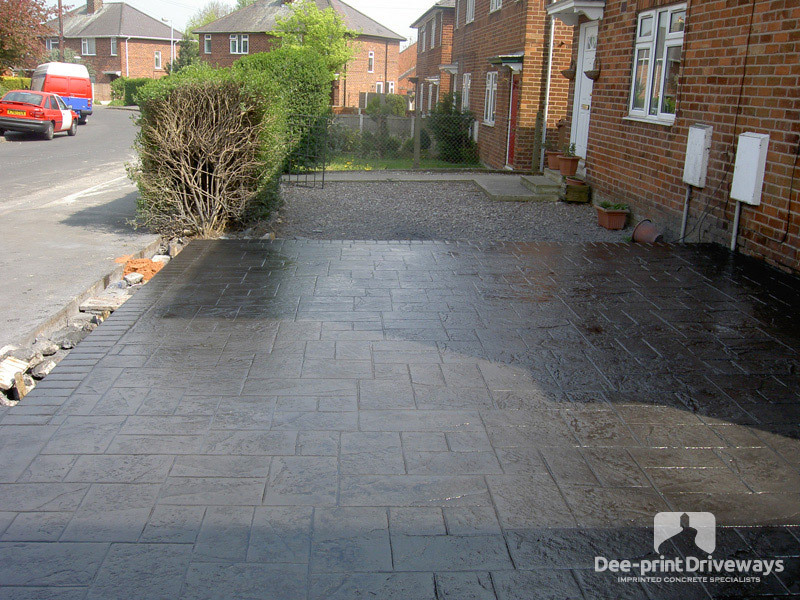 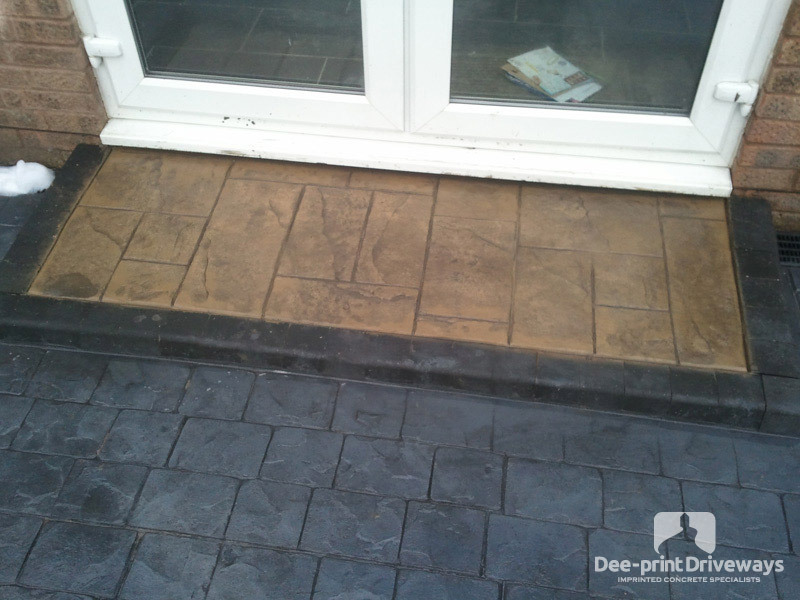 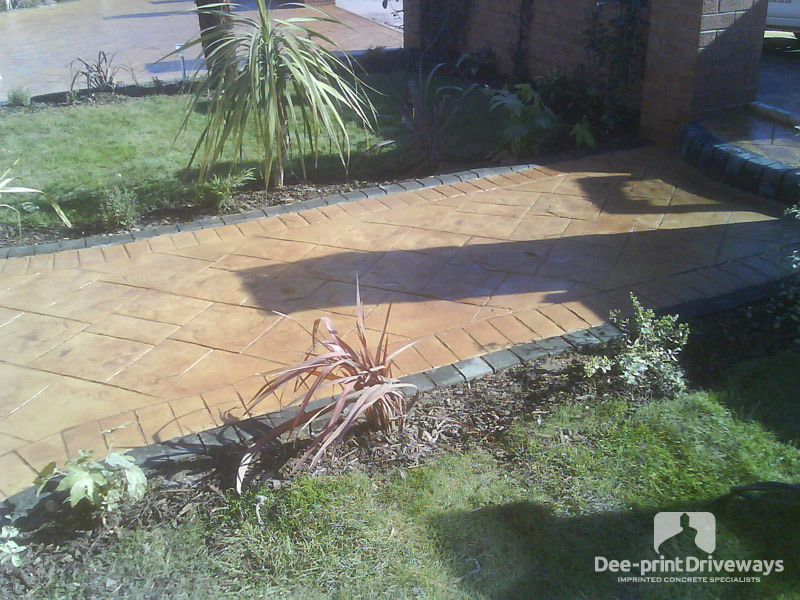 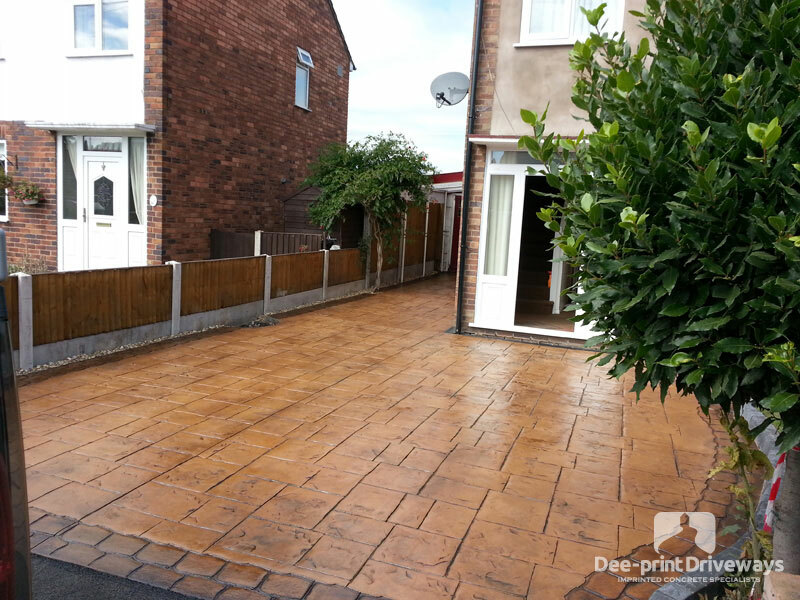 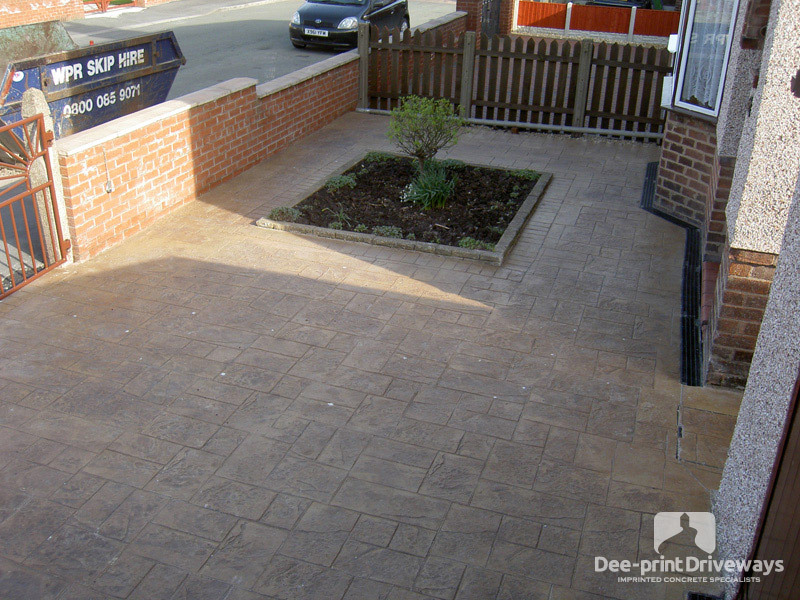 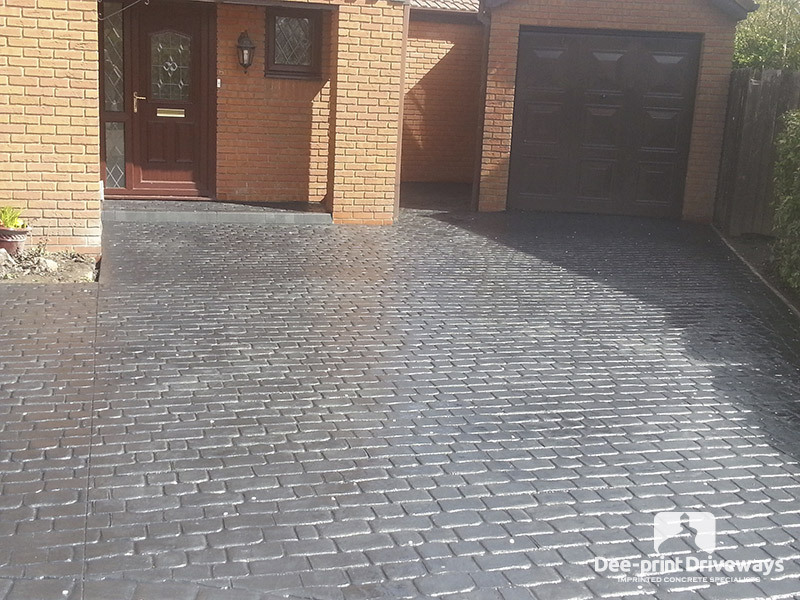 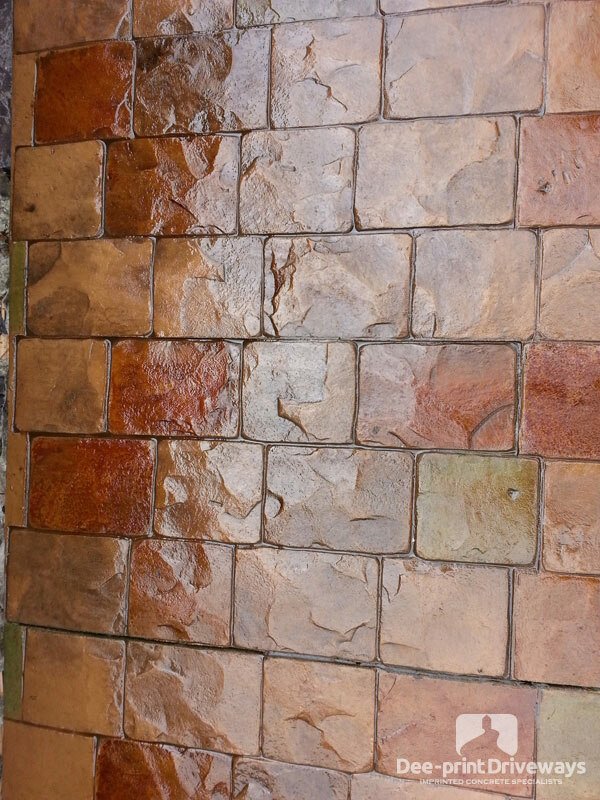 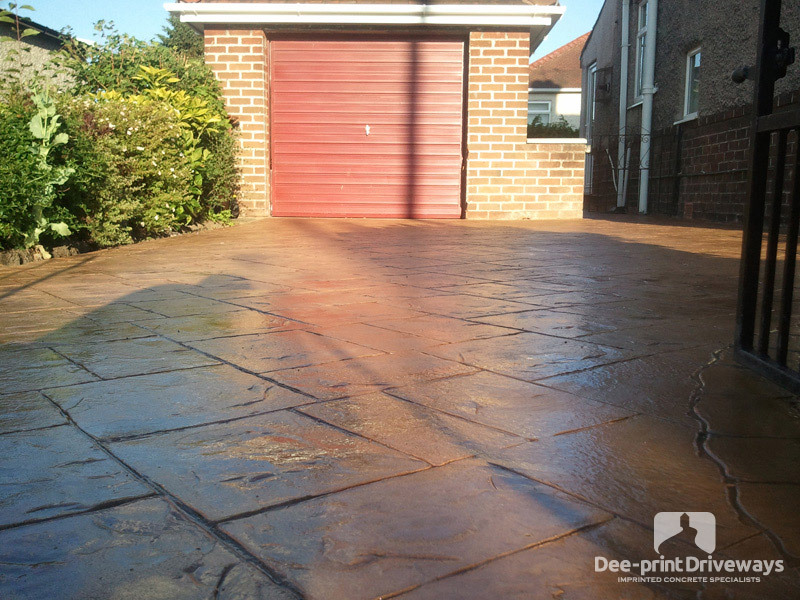 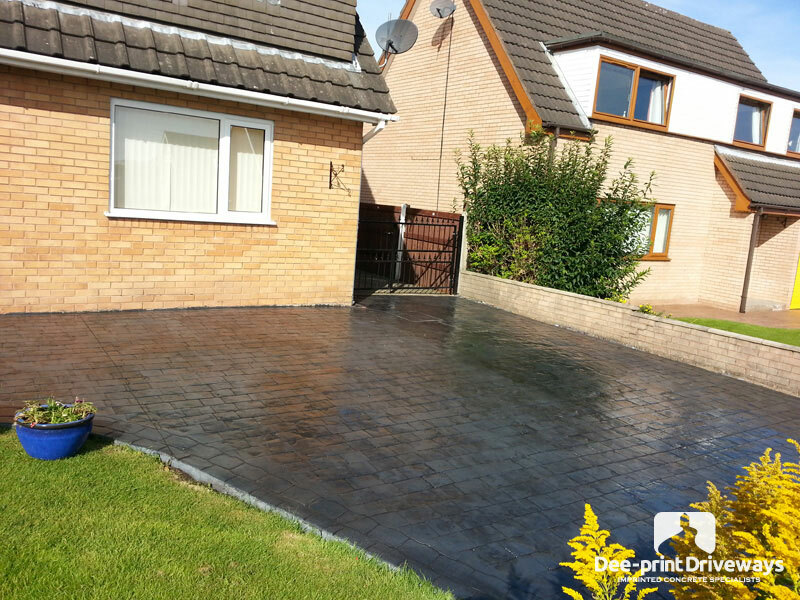 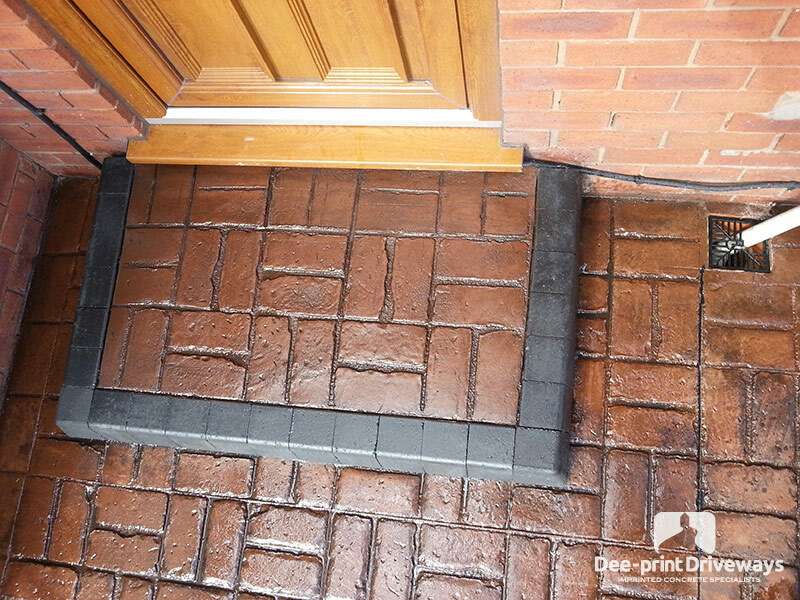 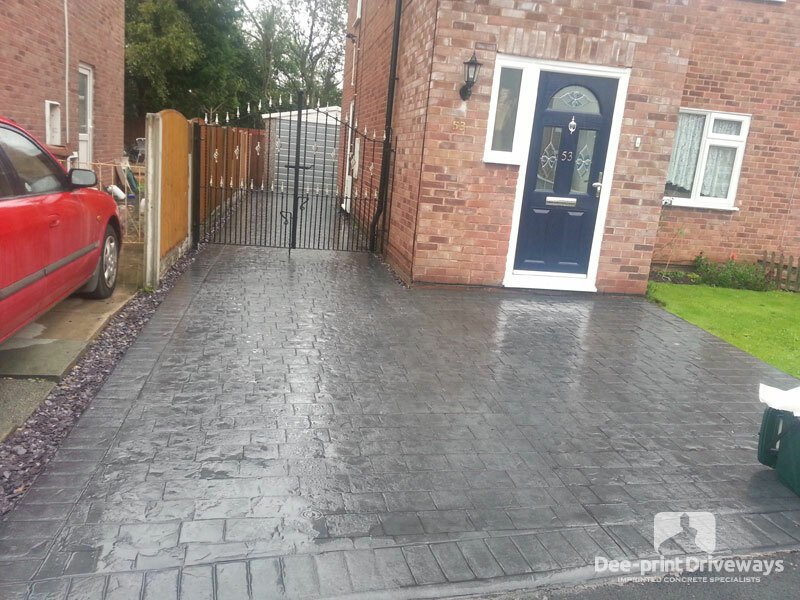 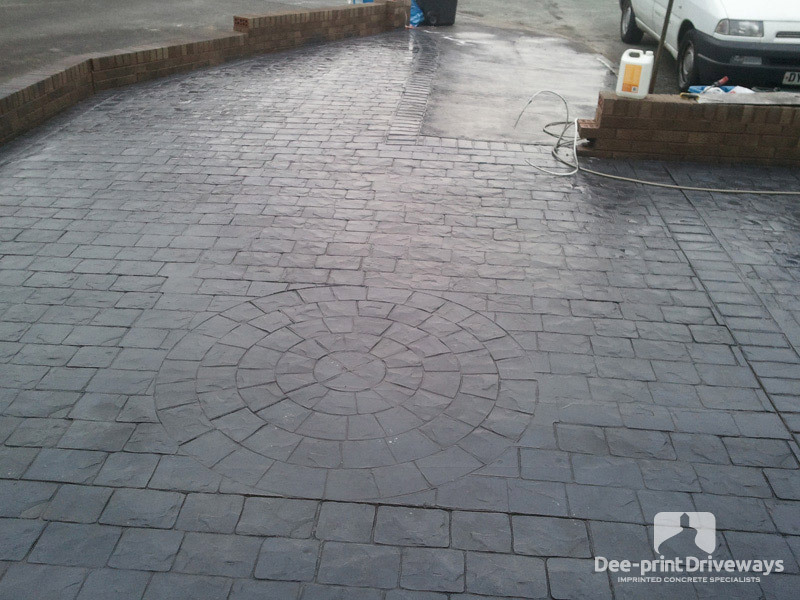 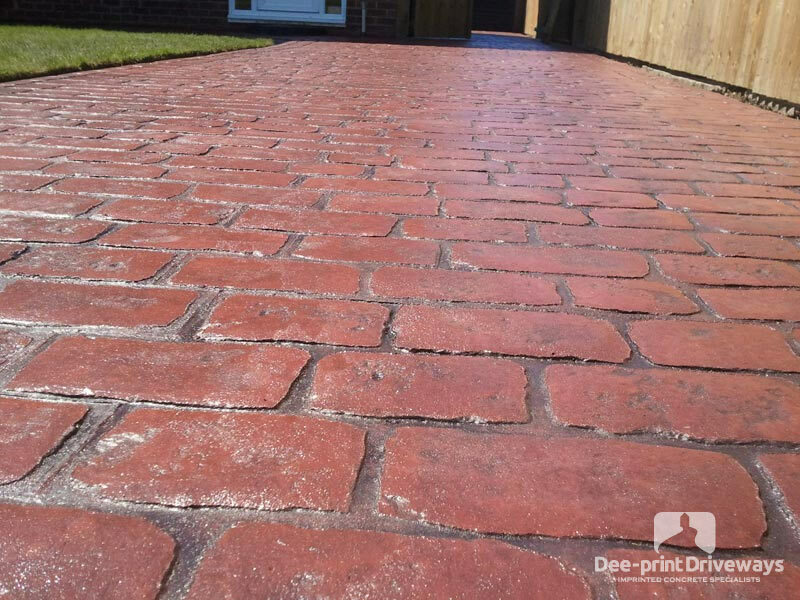 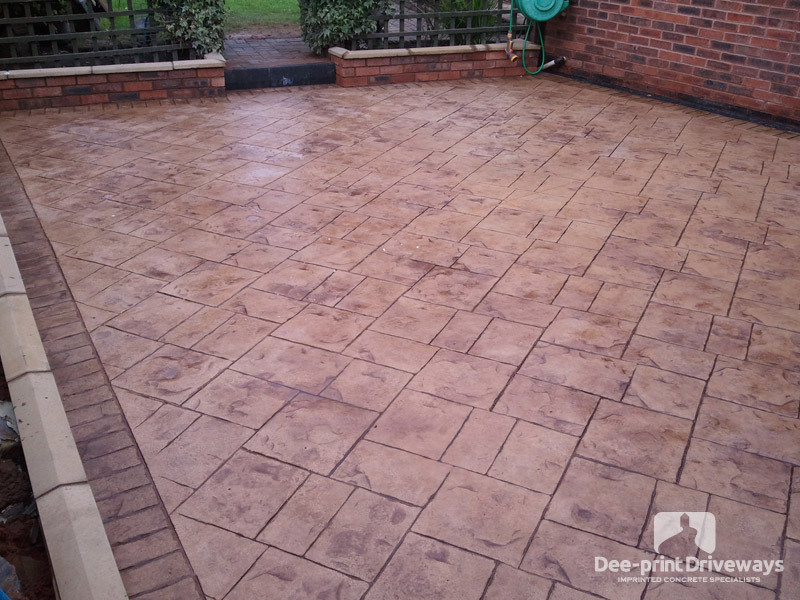 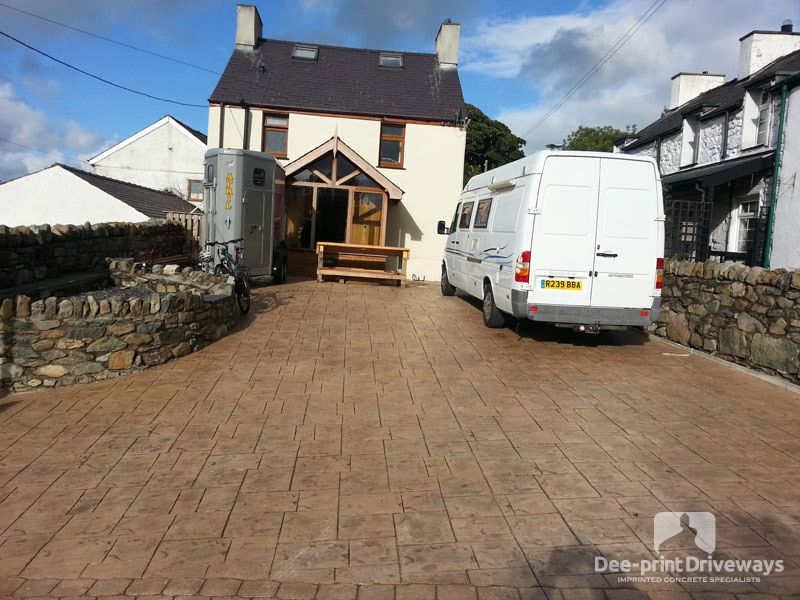 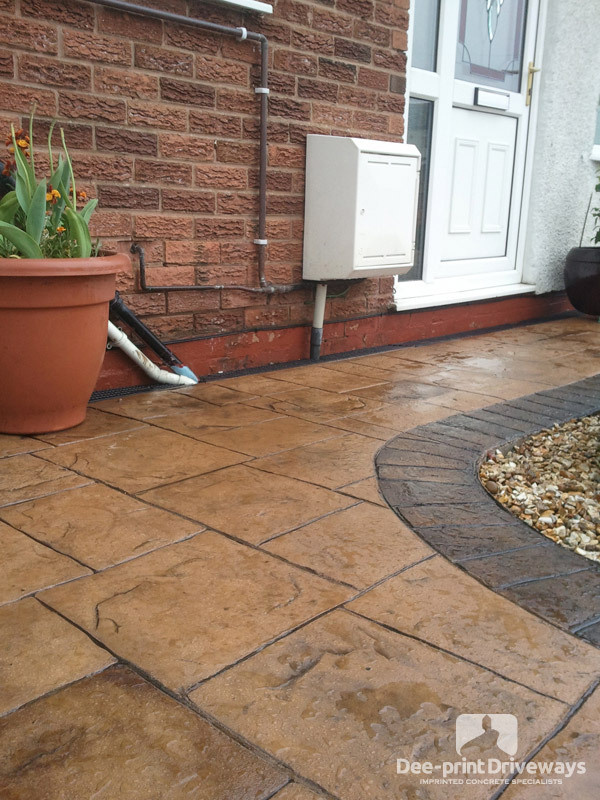 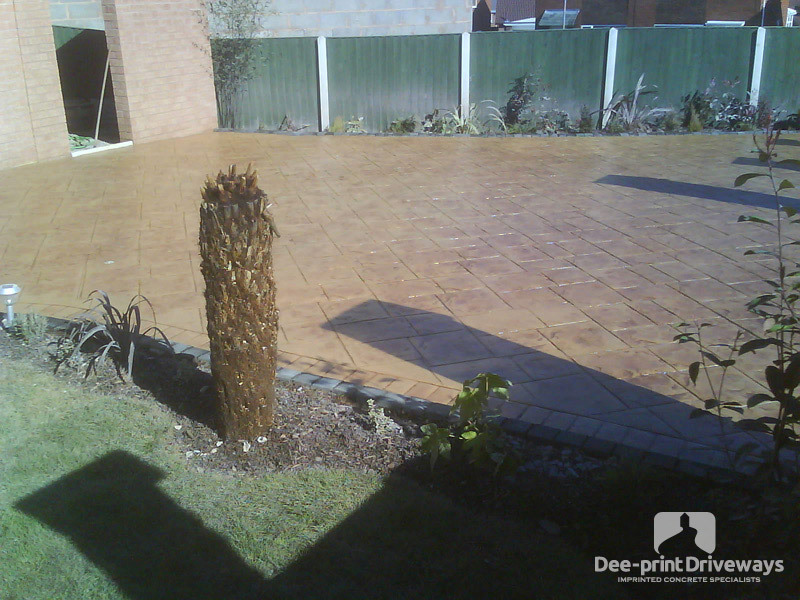 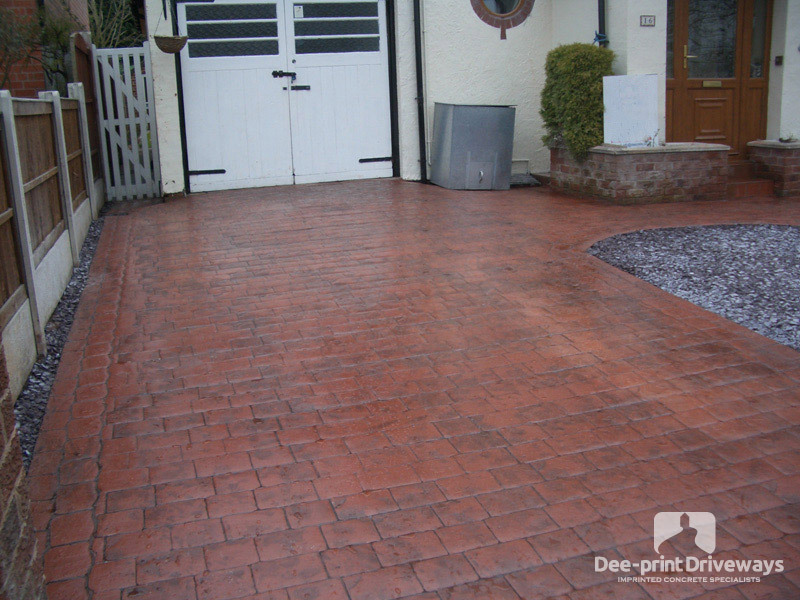 Be assured that unlike some competitors websites, all the driveways and patios seen here can be viewed upon request in the Chester, Deeside and North Wales areas. 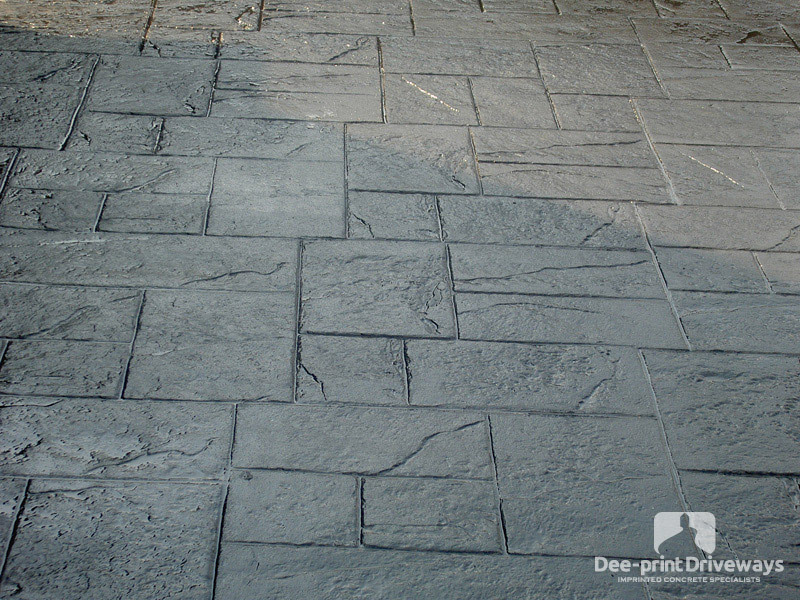 Please click the photos to enlarge.